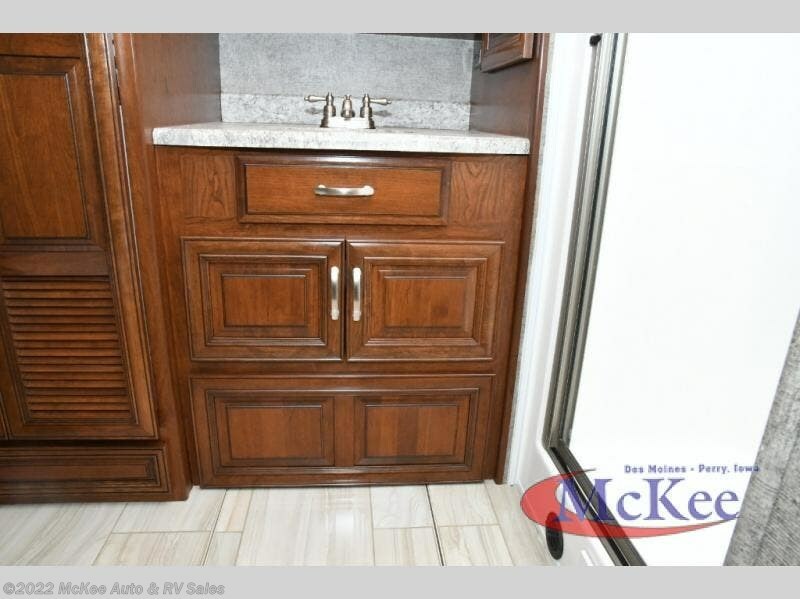 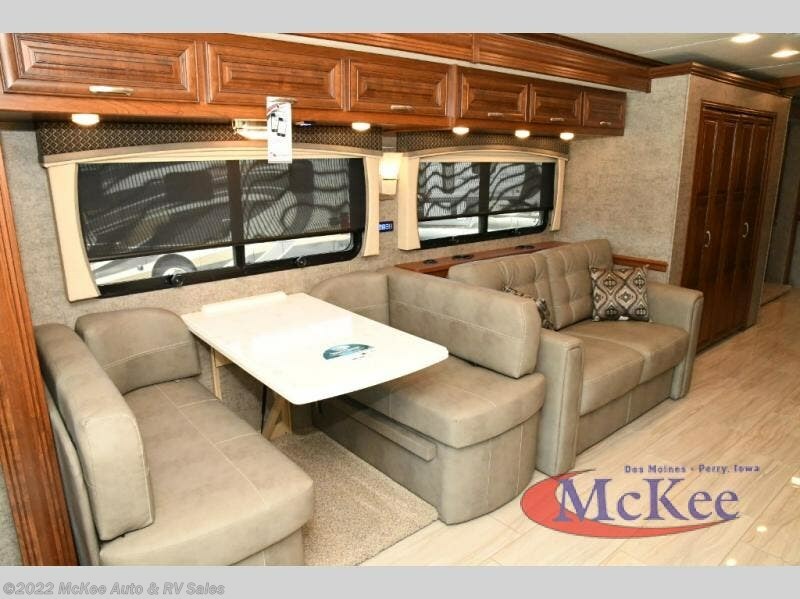 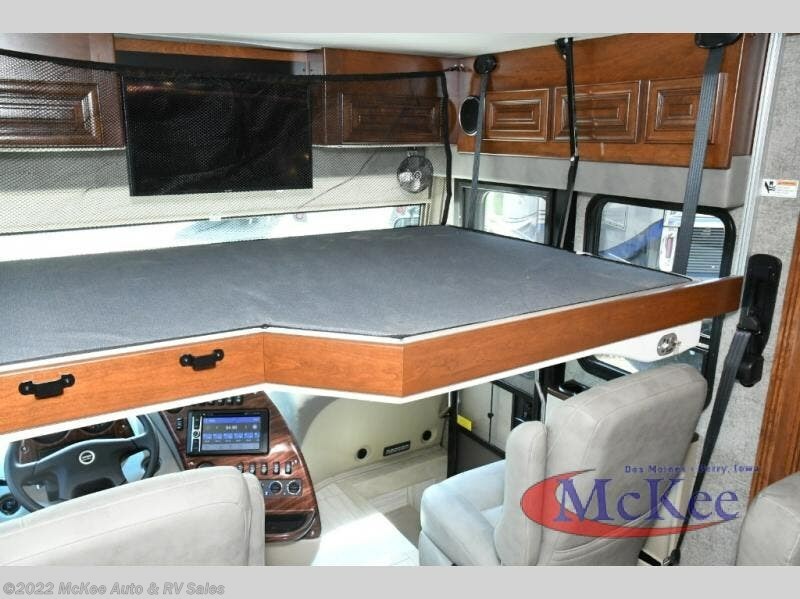 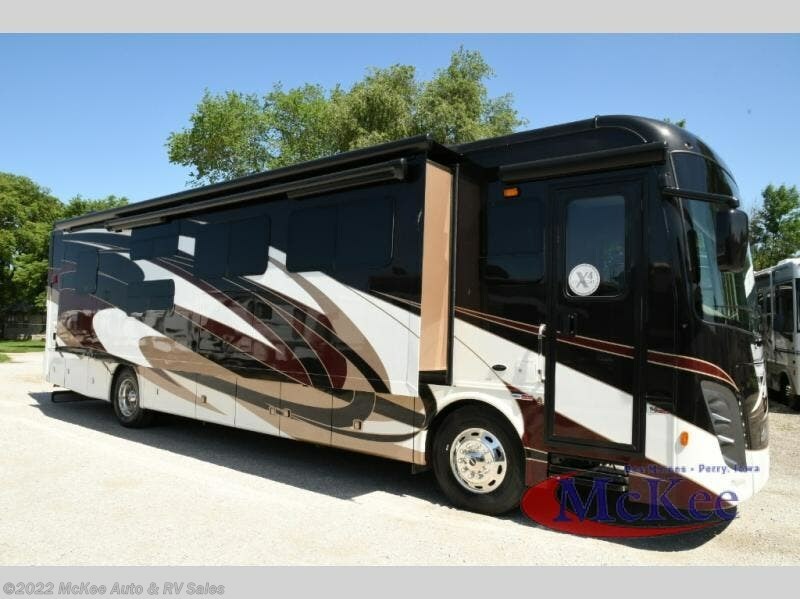 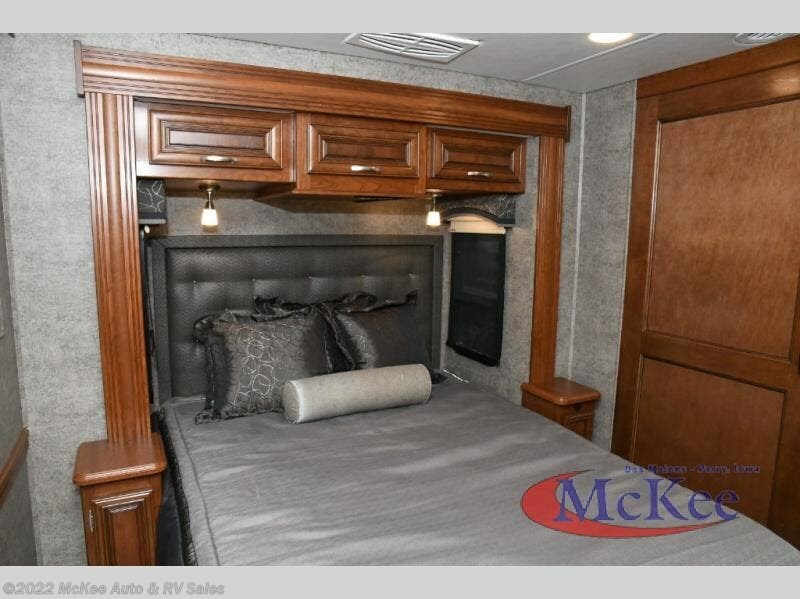 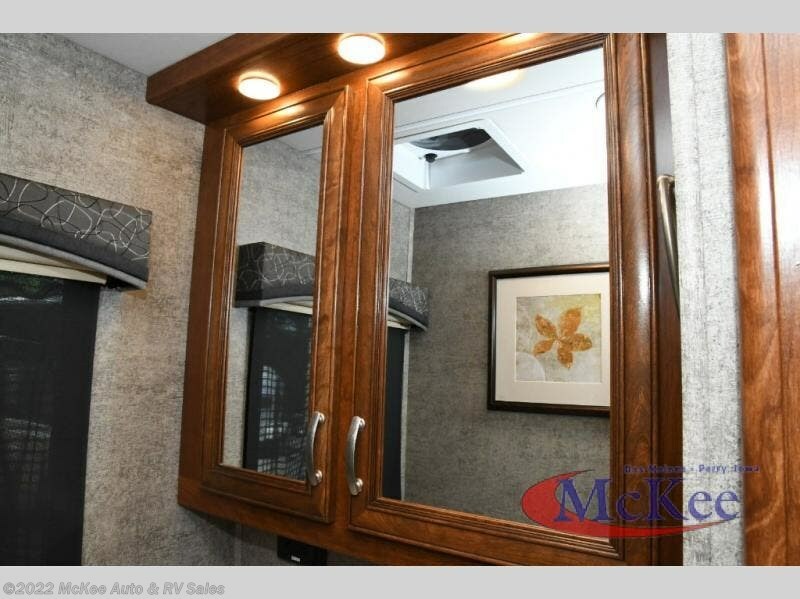 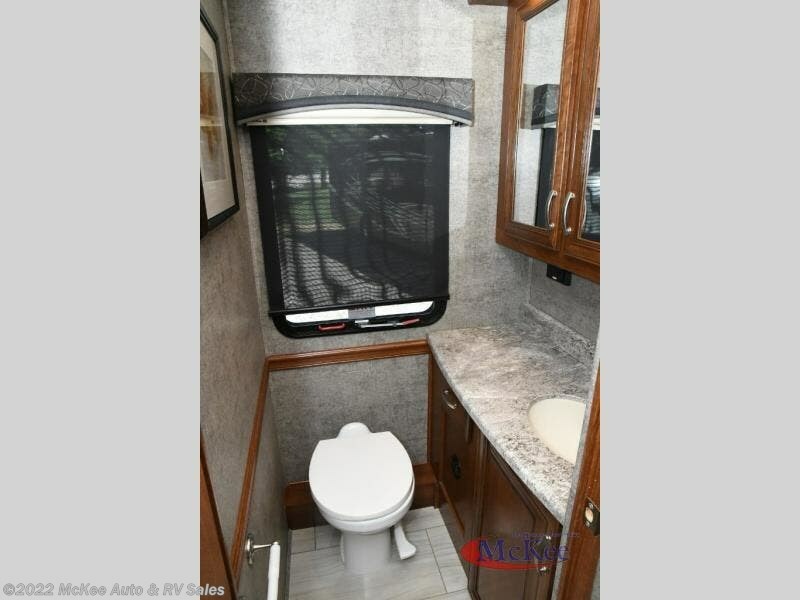 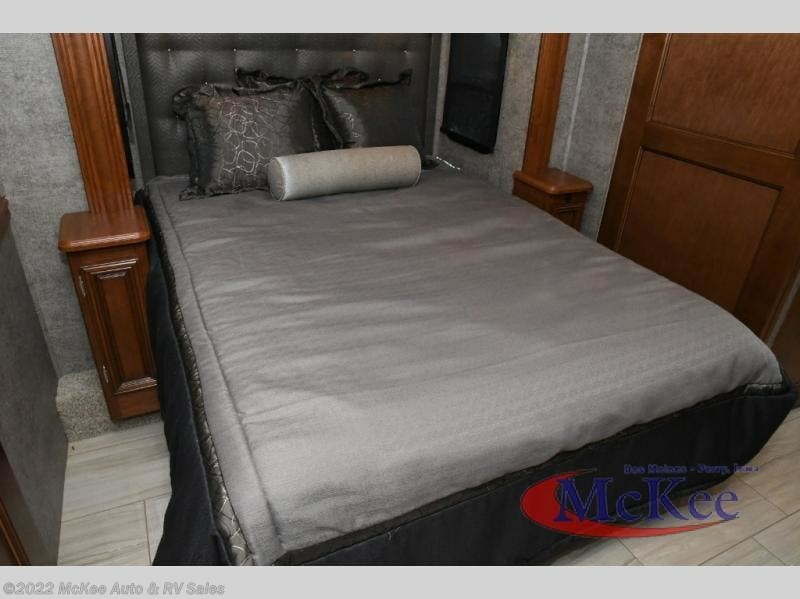 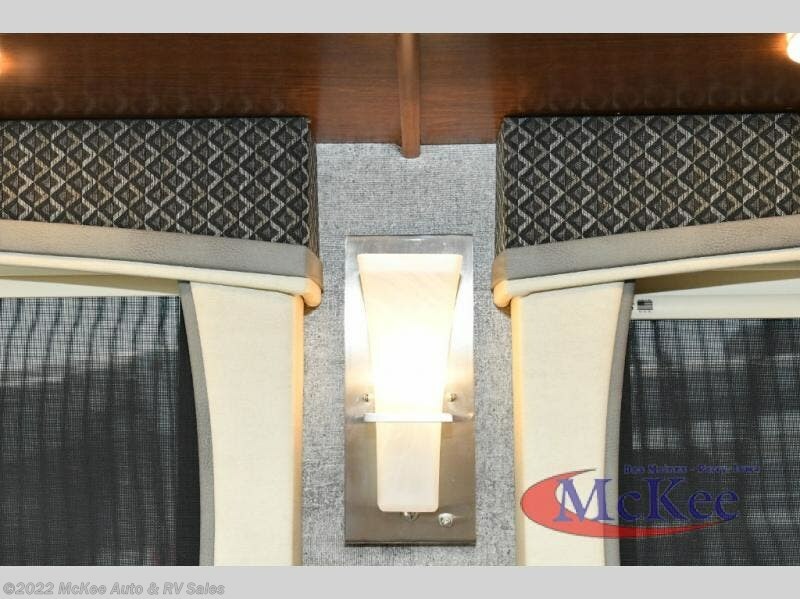 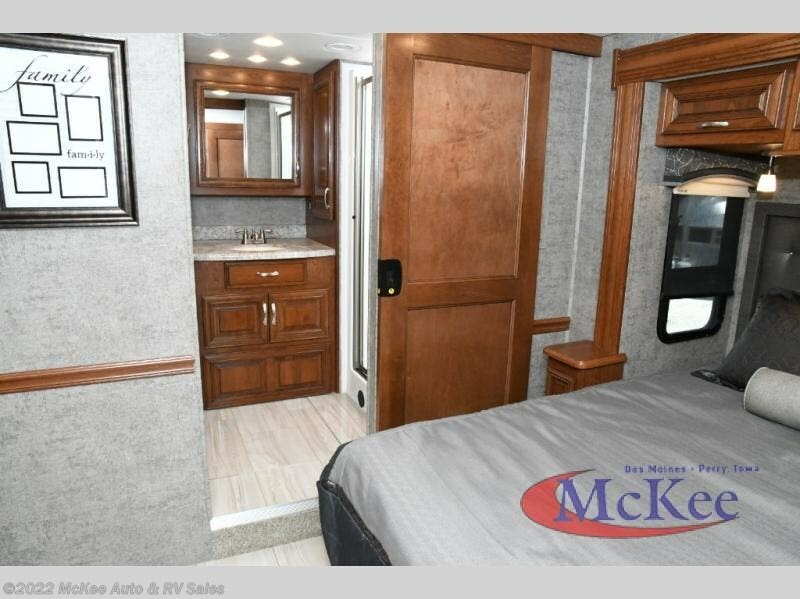 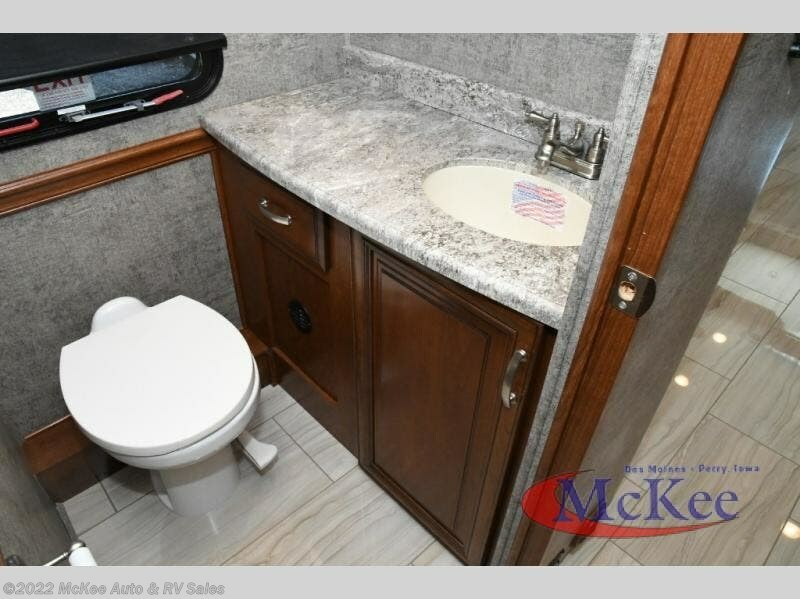 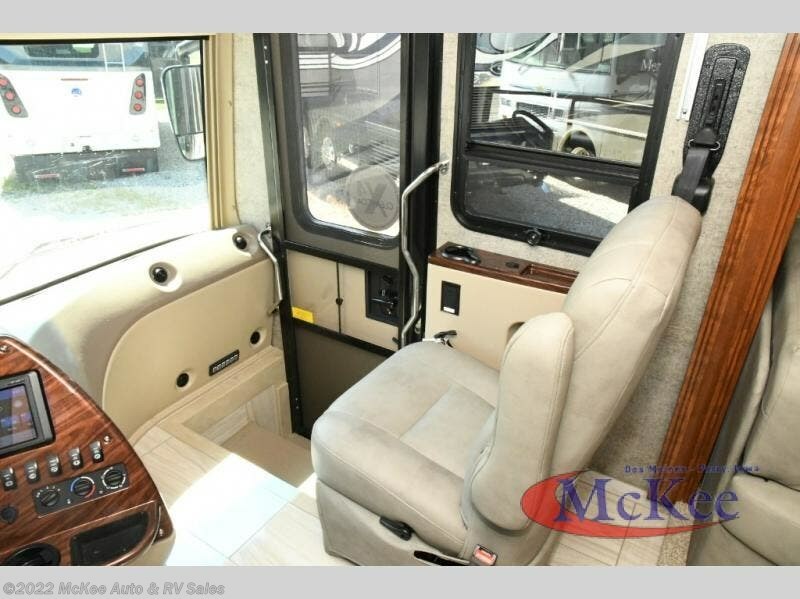 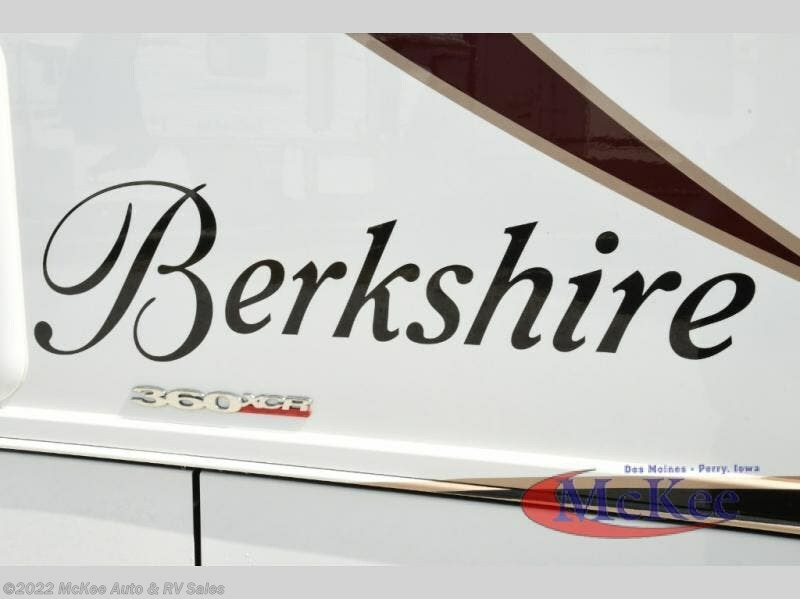 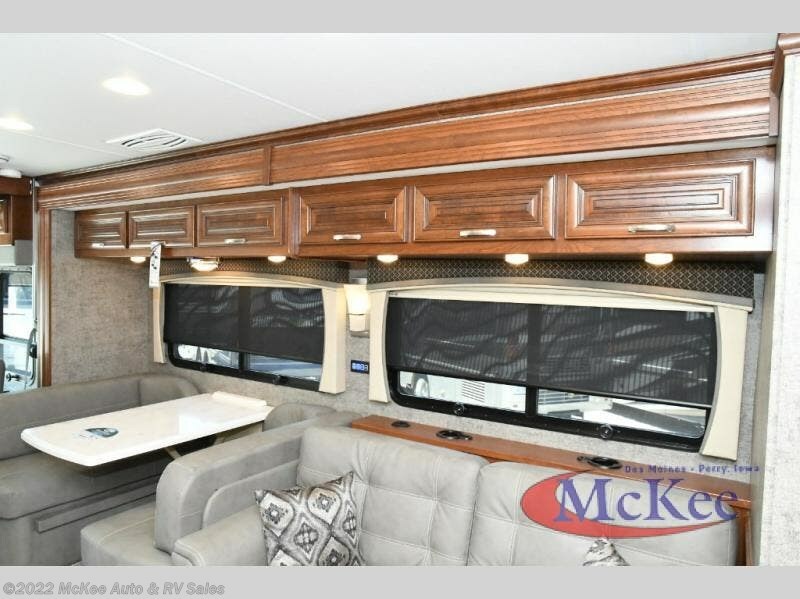 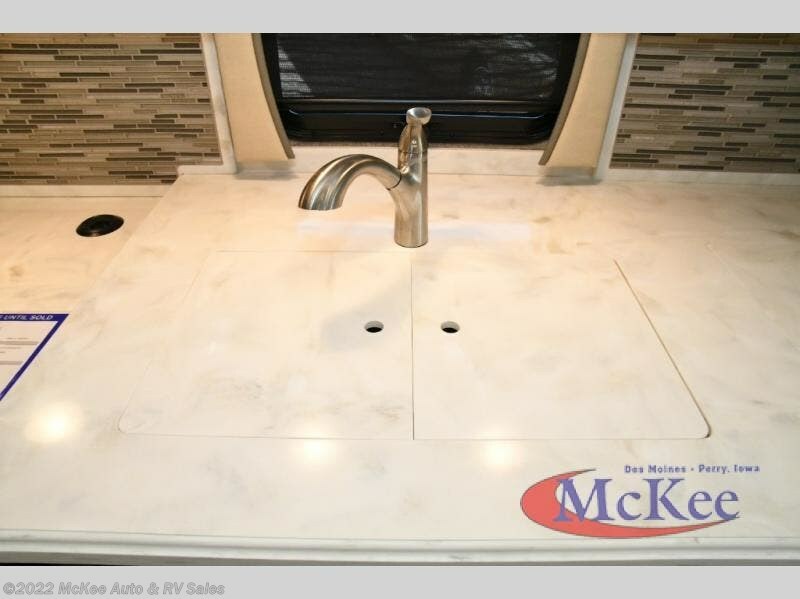 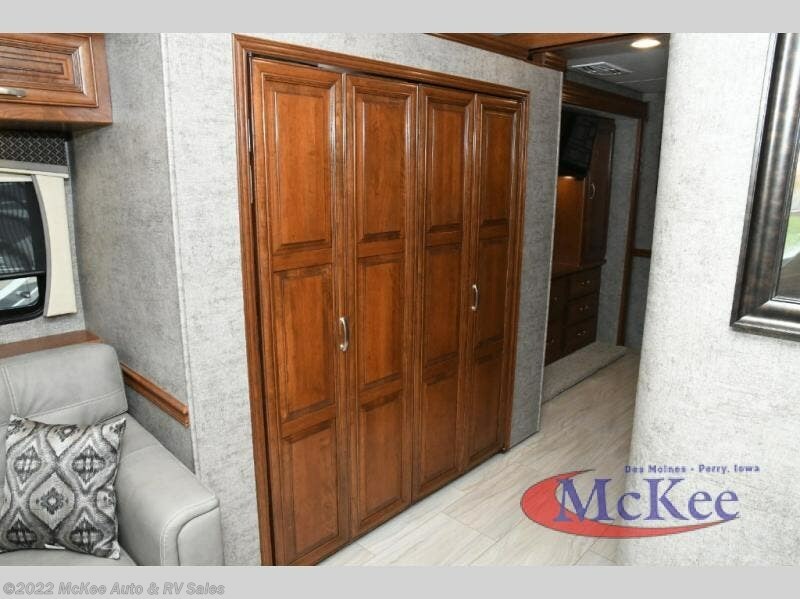 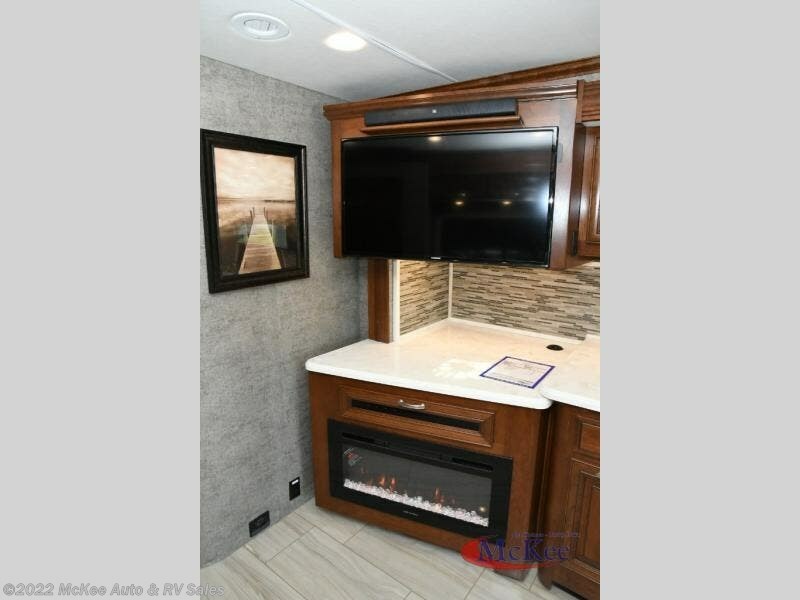 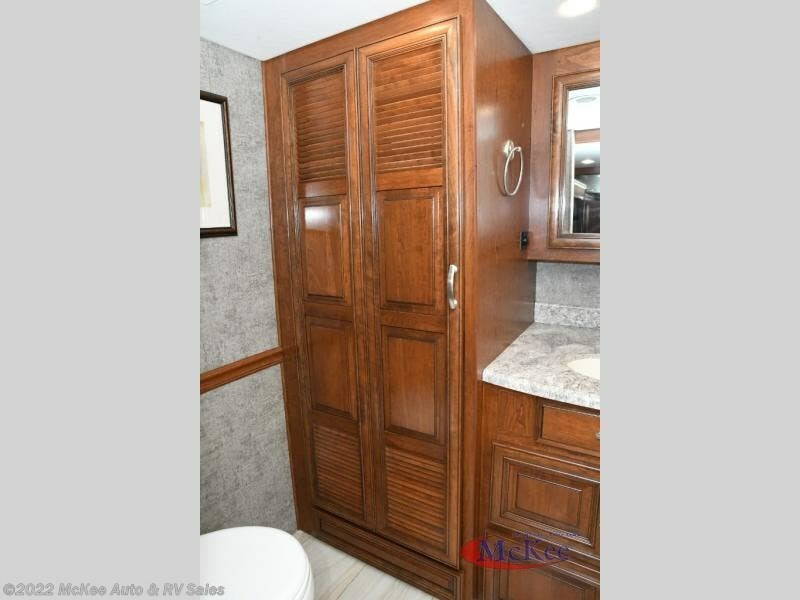 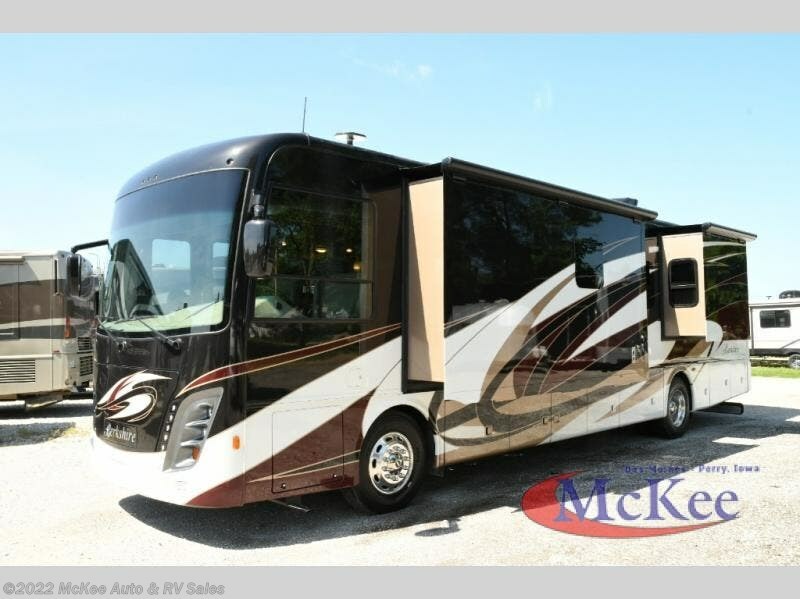 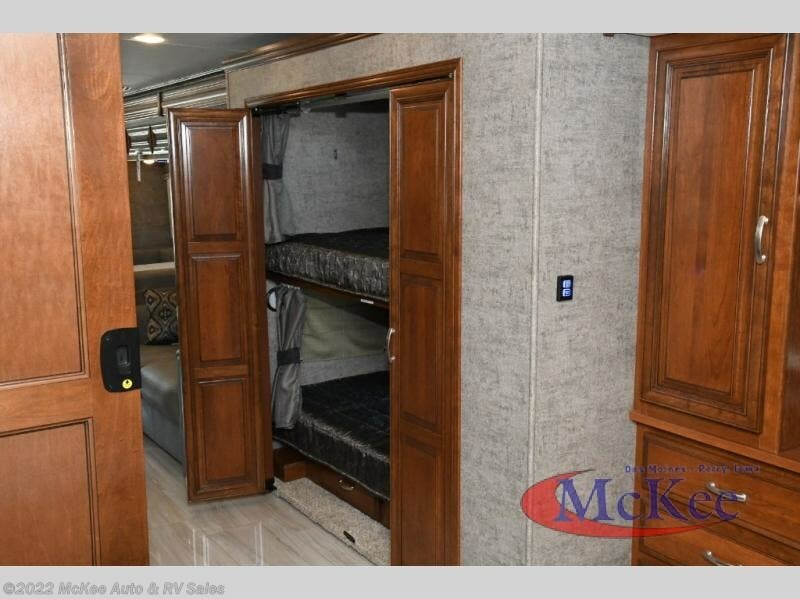 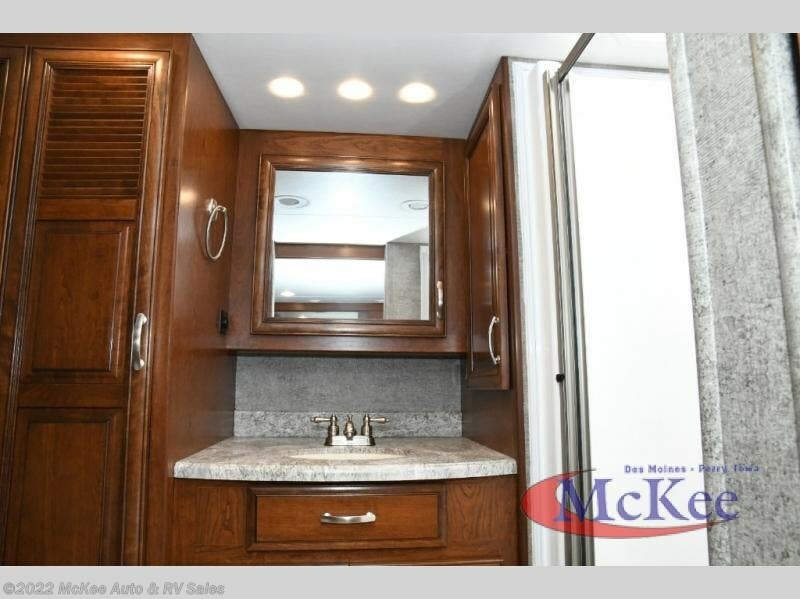 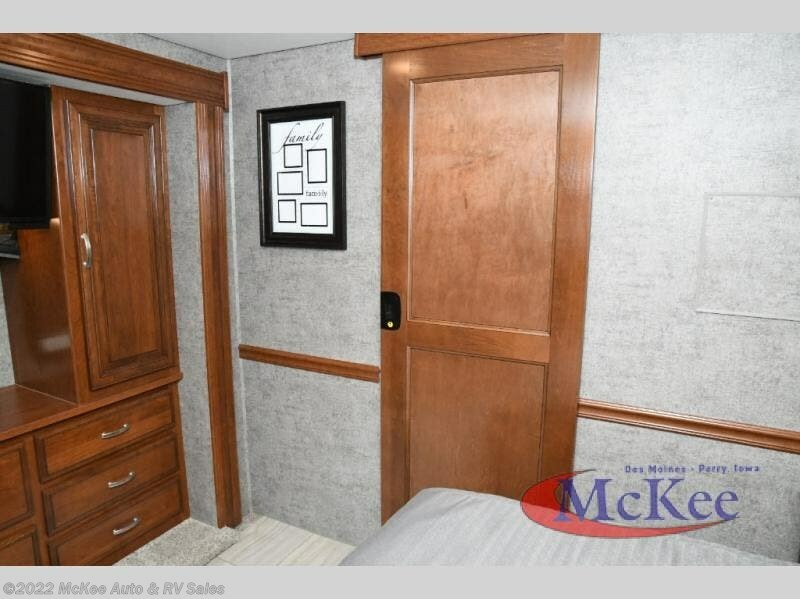 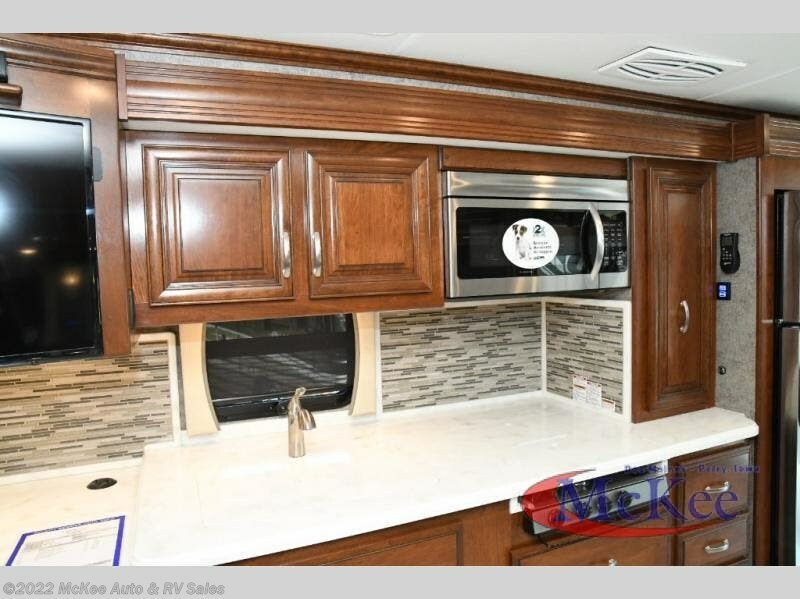 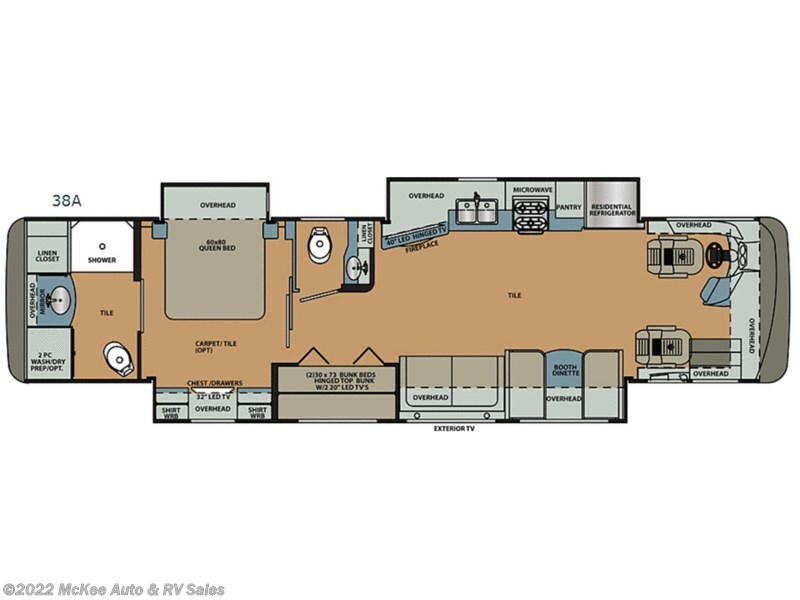 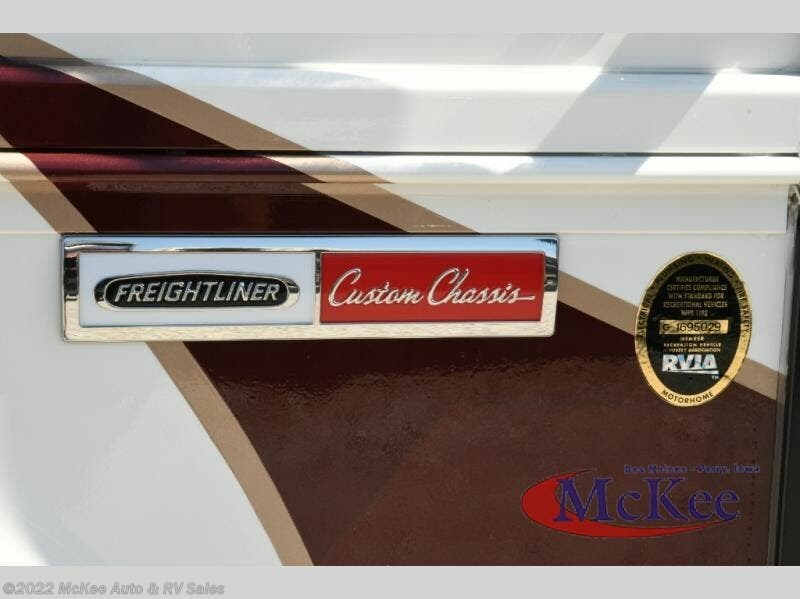 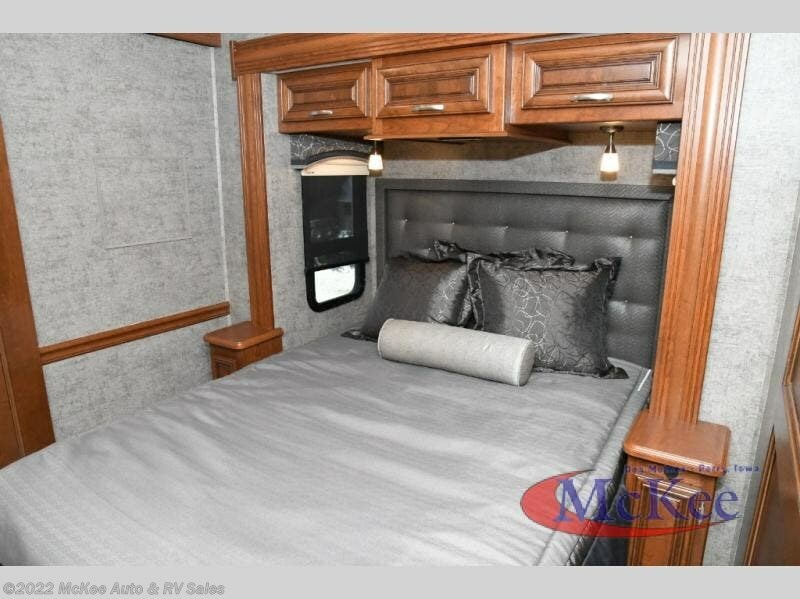 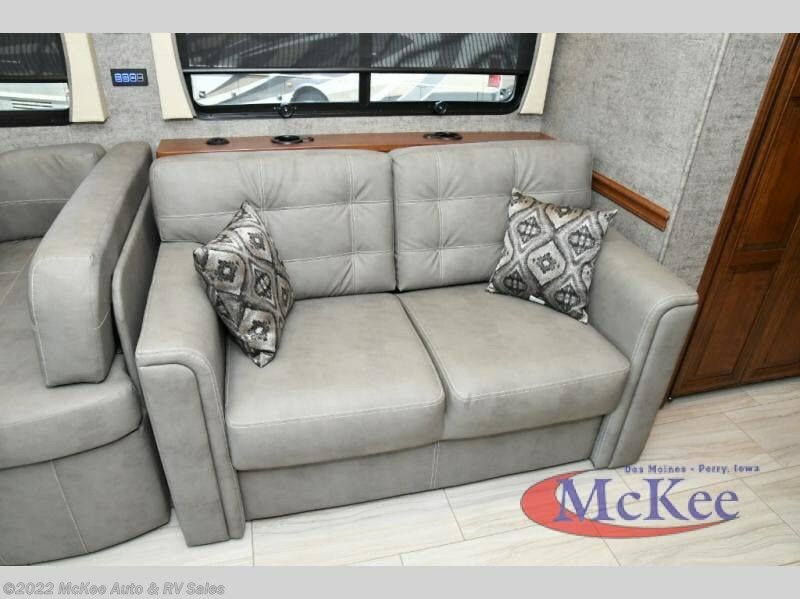 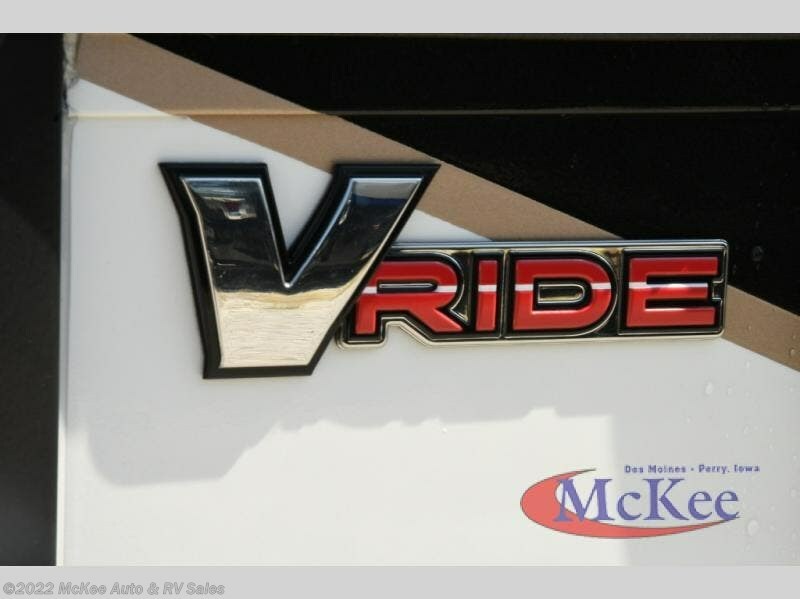 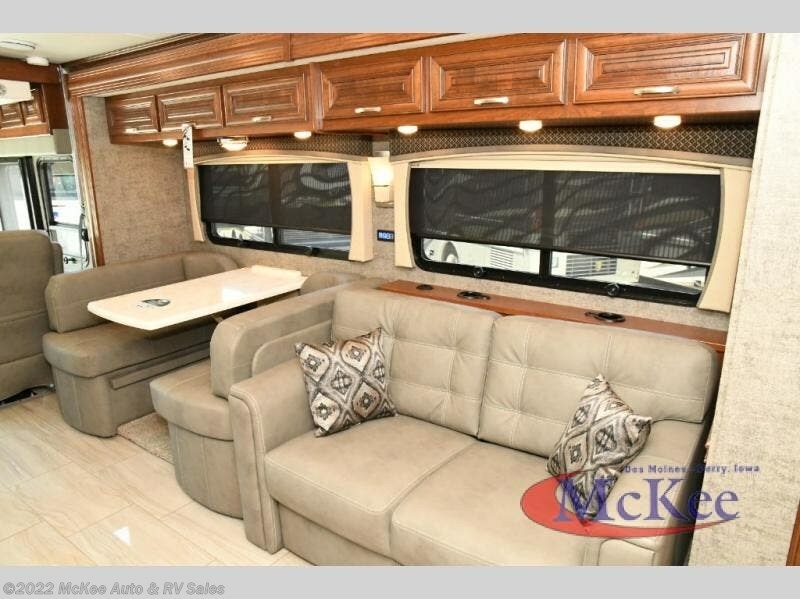 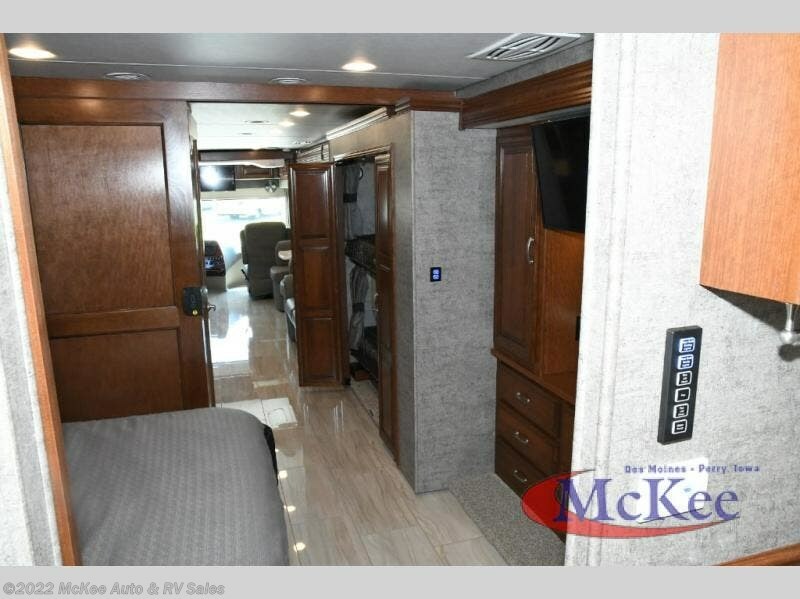 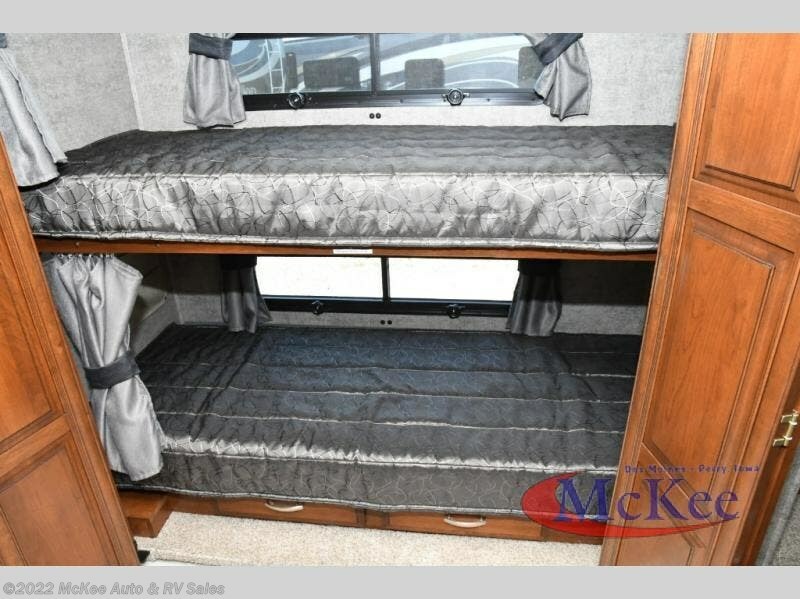 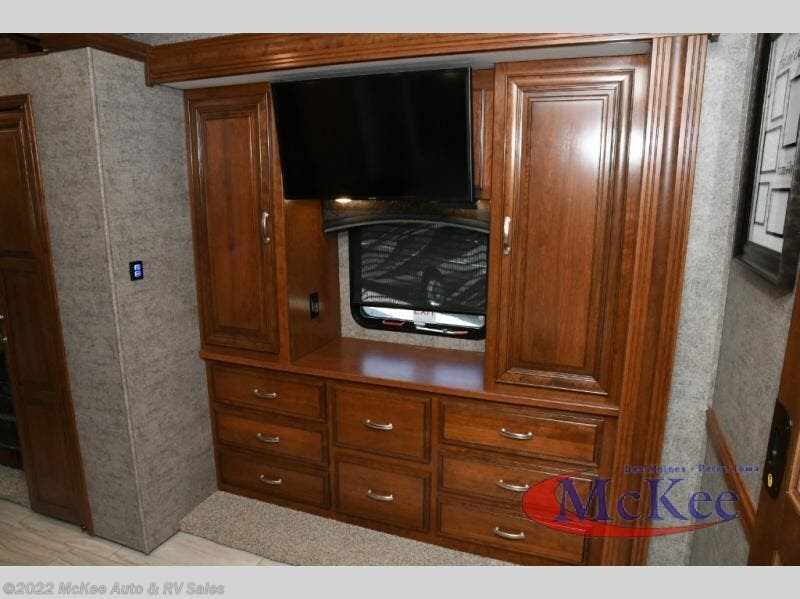 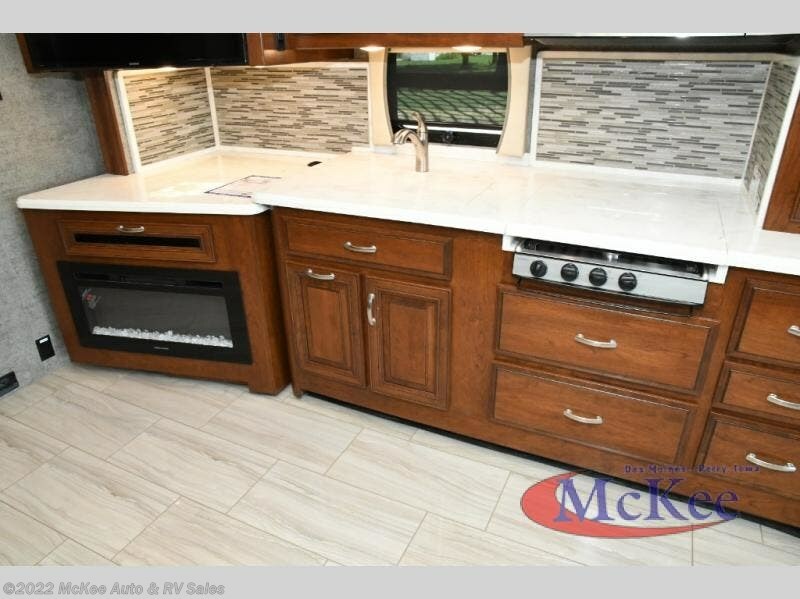 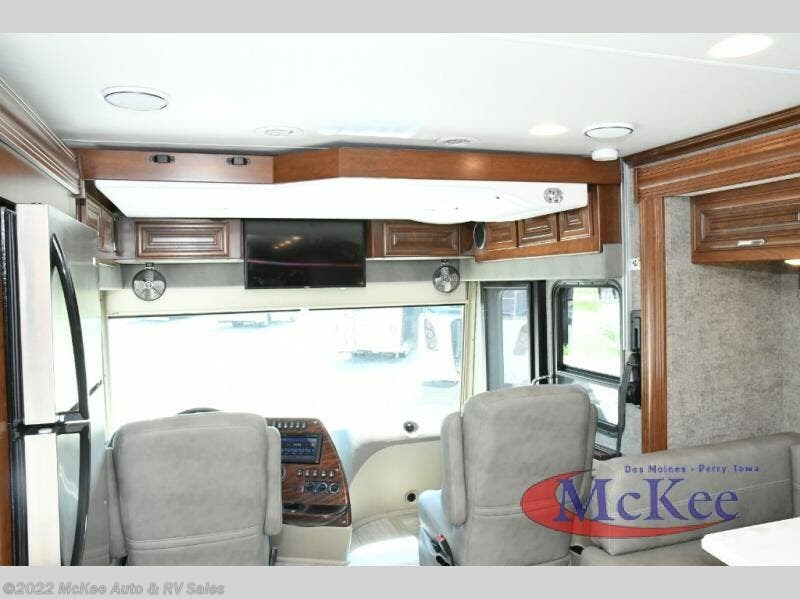 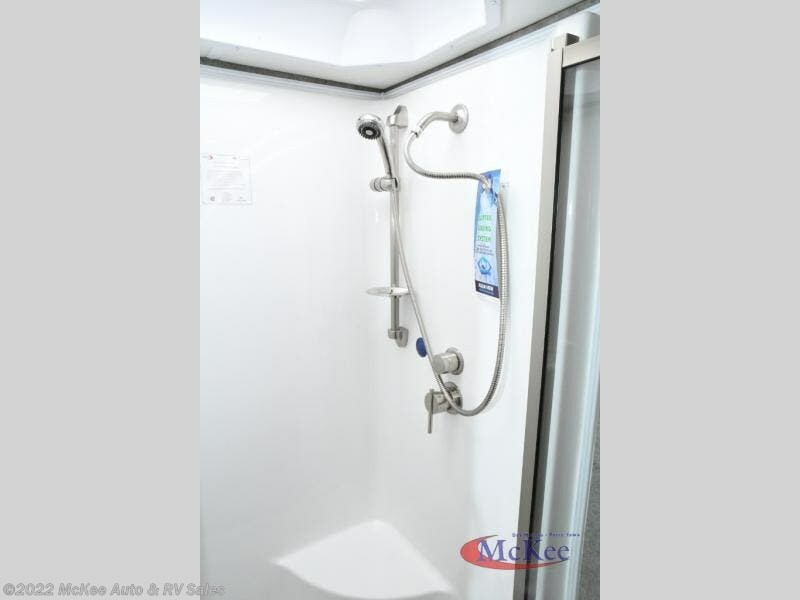 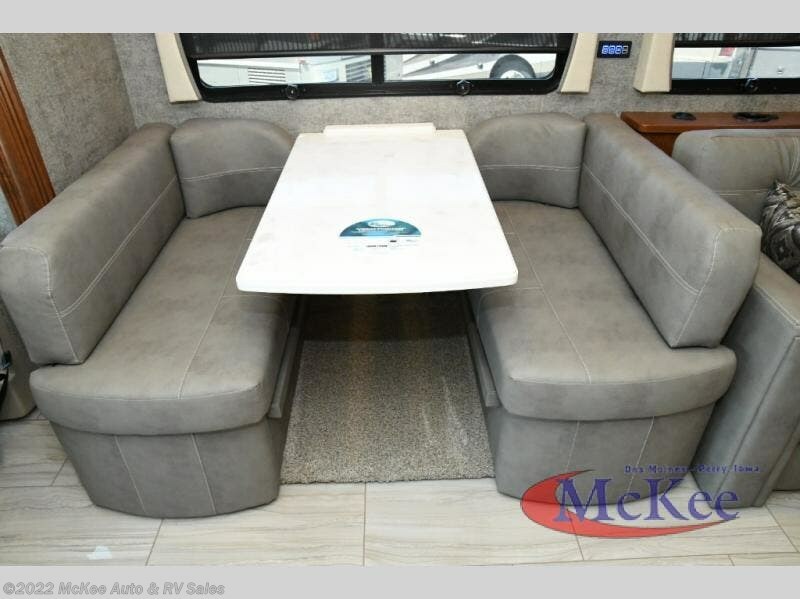 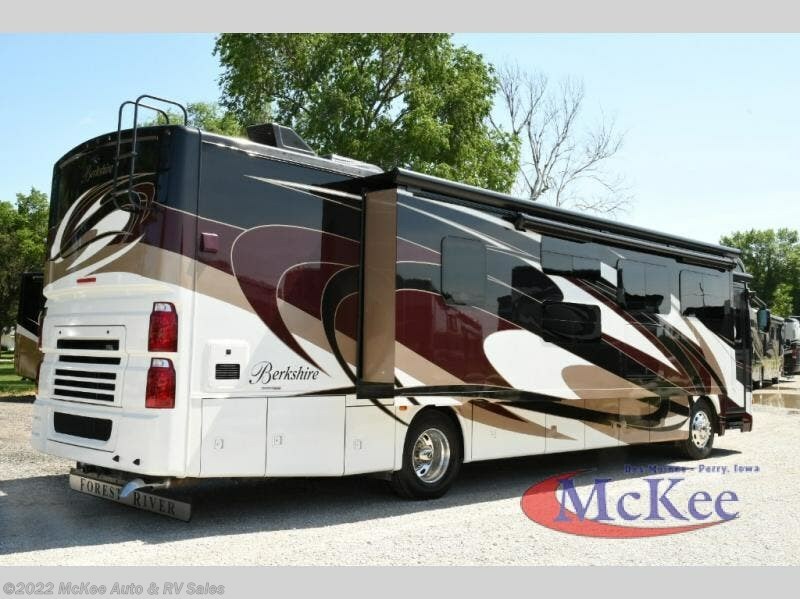 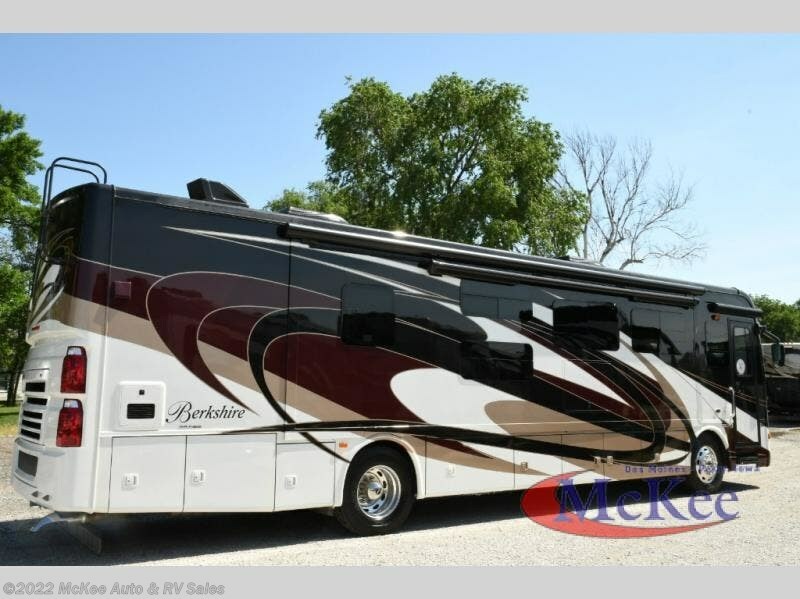 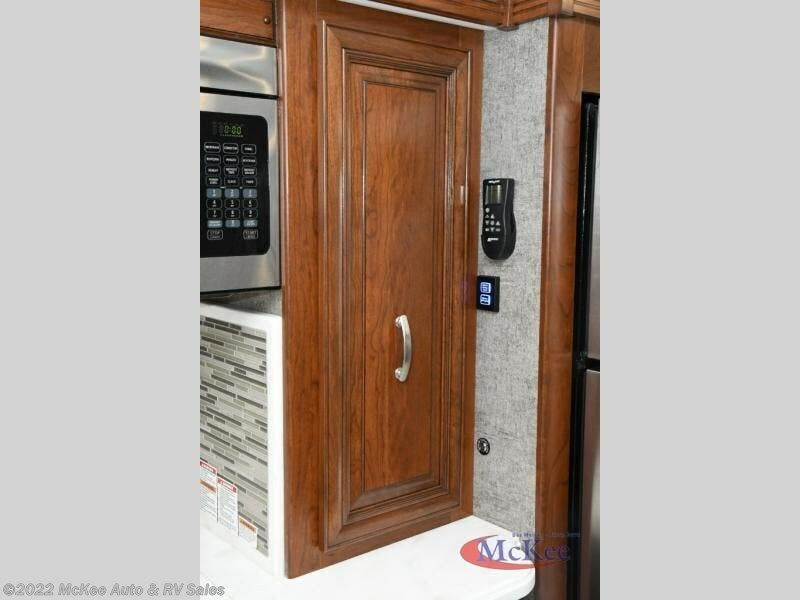 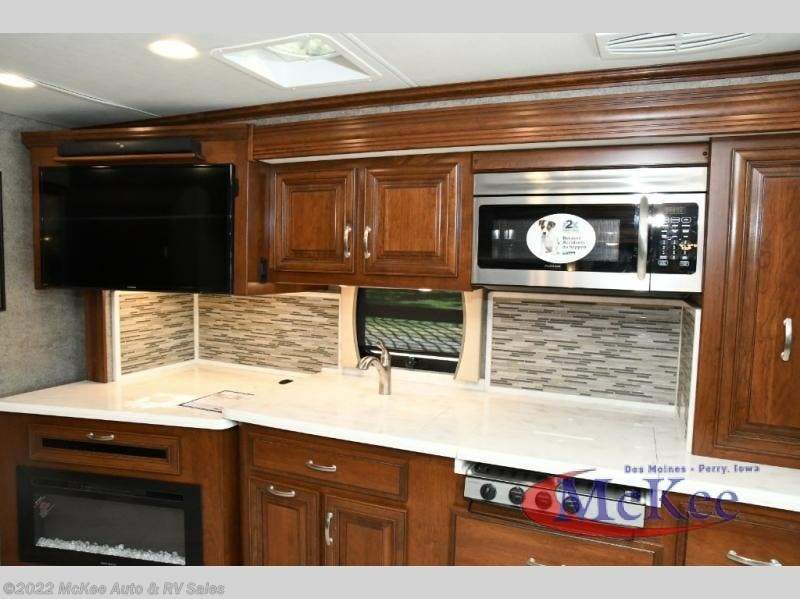 This Berkshire class A - Diesel motor home by Forest River RV features THREE slides, a full rear bath, a half bath, a set of bunks with personal TV's, and so much more! 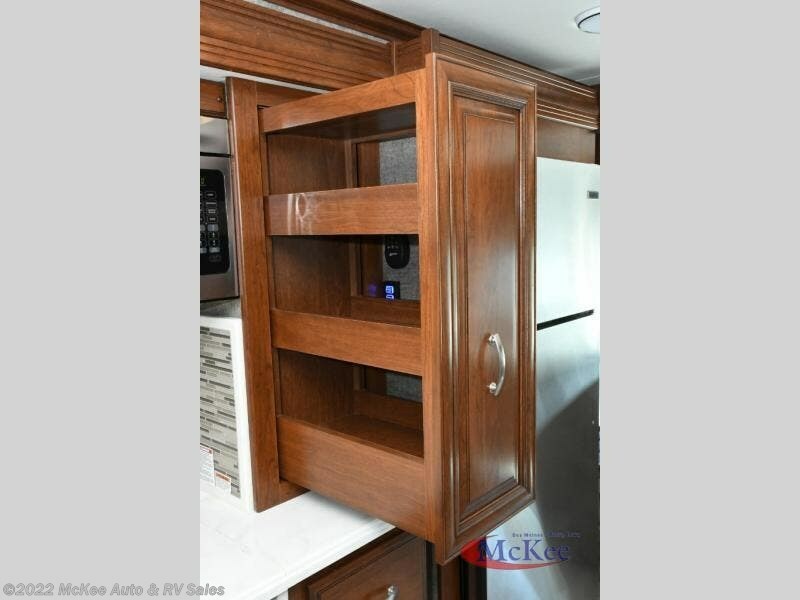 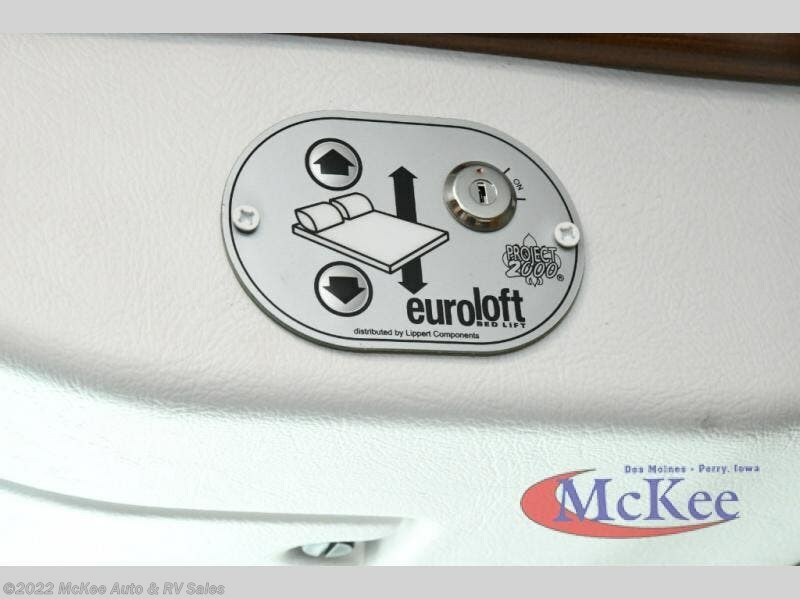 Imagine yourself walking into model 38A, you enter the cab area and look up, there is plenty of storage space above for storing your things! 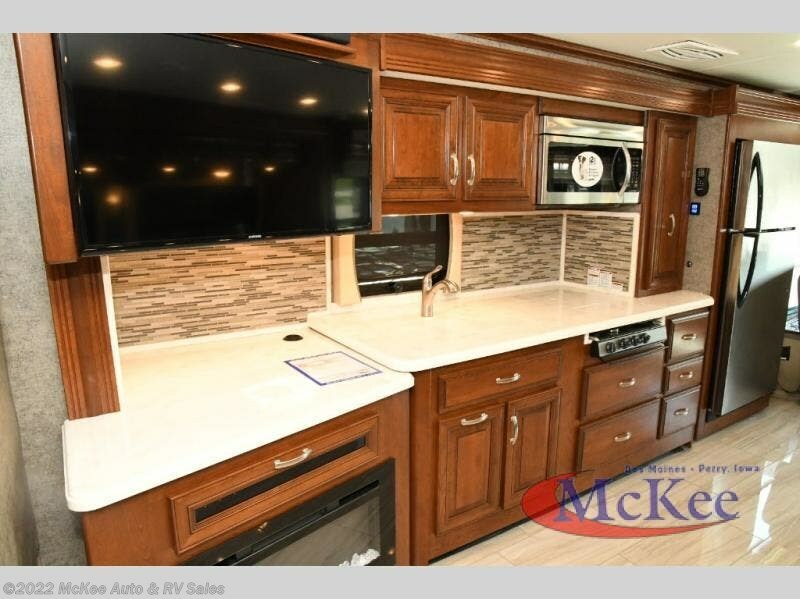 If you look into the living area along the roadside, you will find the kitchen. 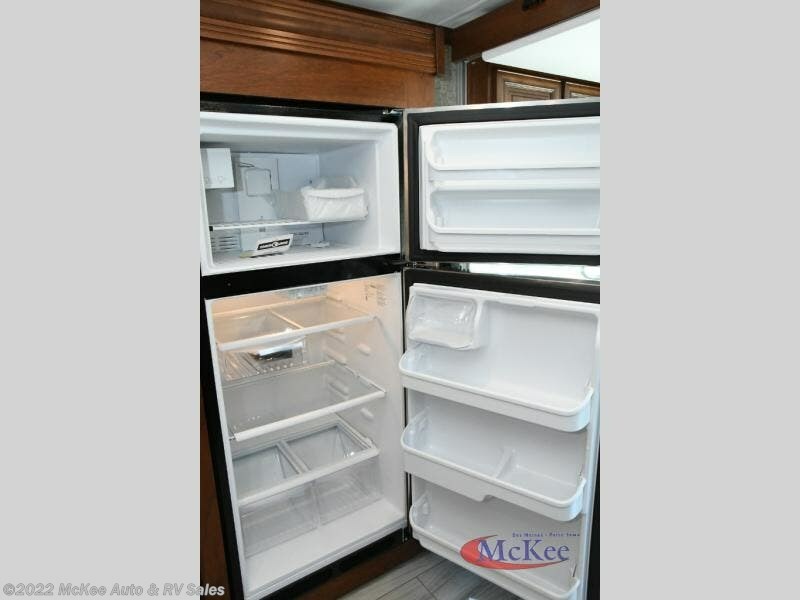 Inside the slide out, there is a residential fridge and a pantry for storing all of your food items. 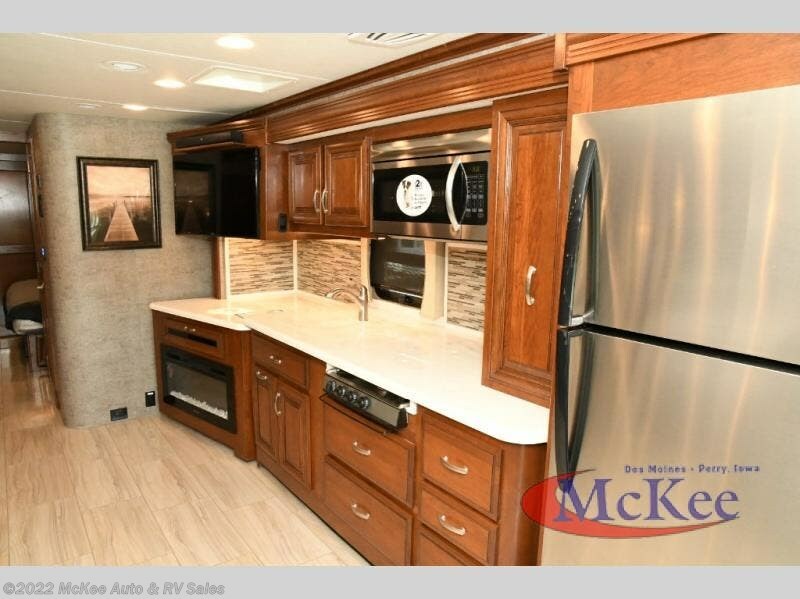 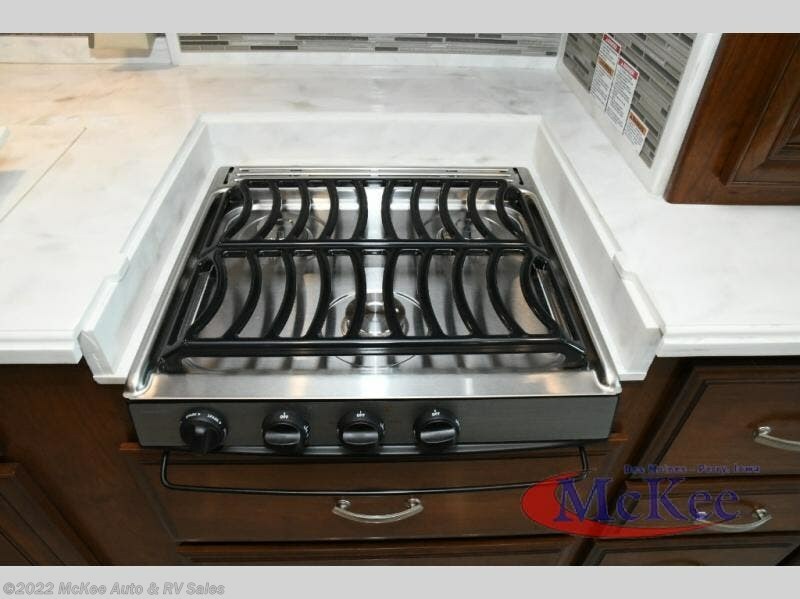 There is also a three burner range and a microwave for cooking meals or snacks throughout the day. 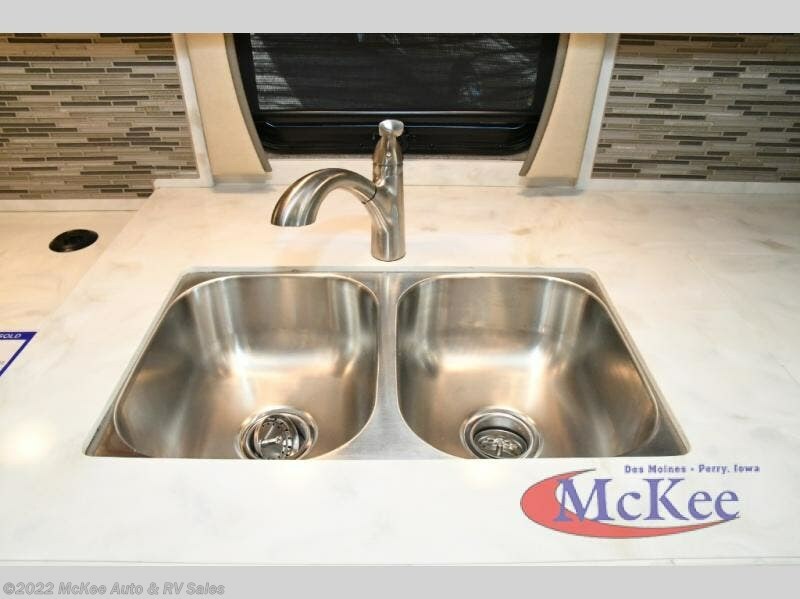 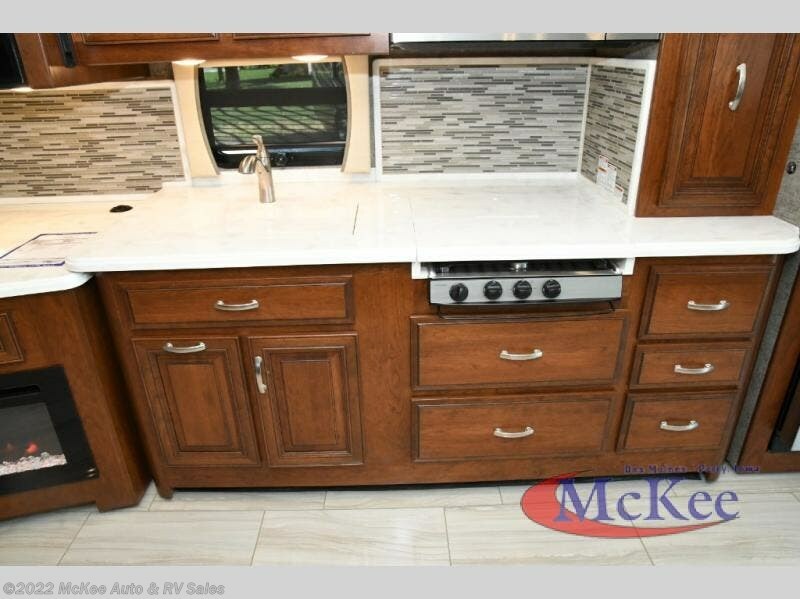 A double sink and some overhead cabinetry are perfect for cleaning up your messes and storing your clean dishes. 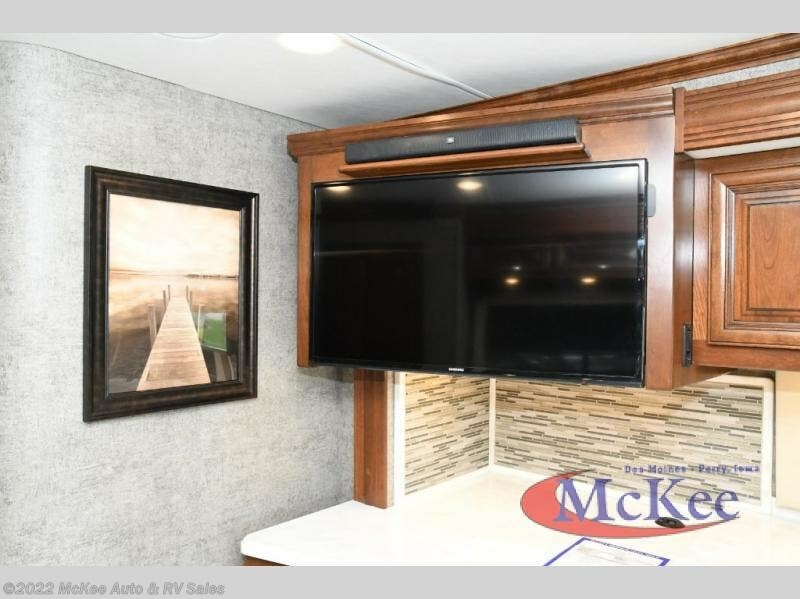 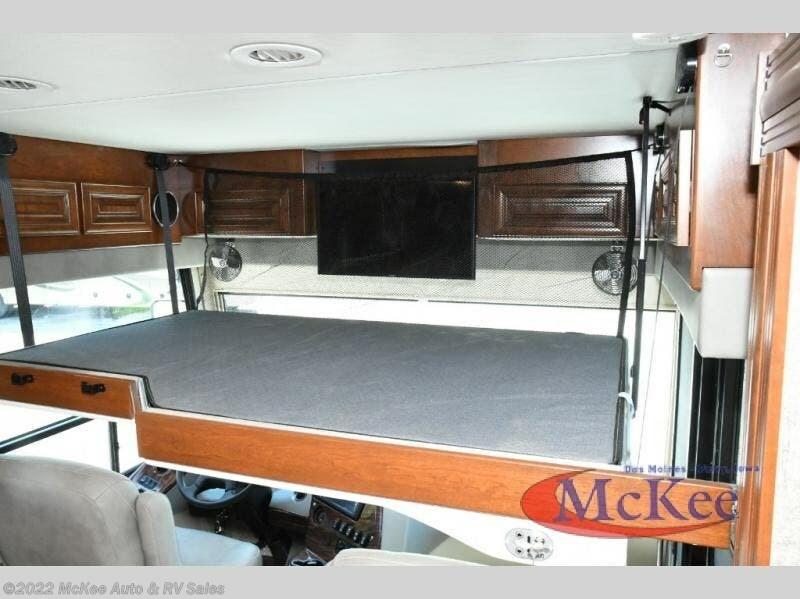 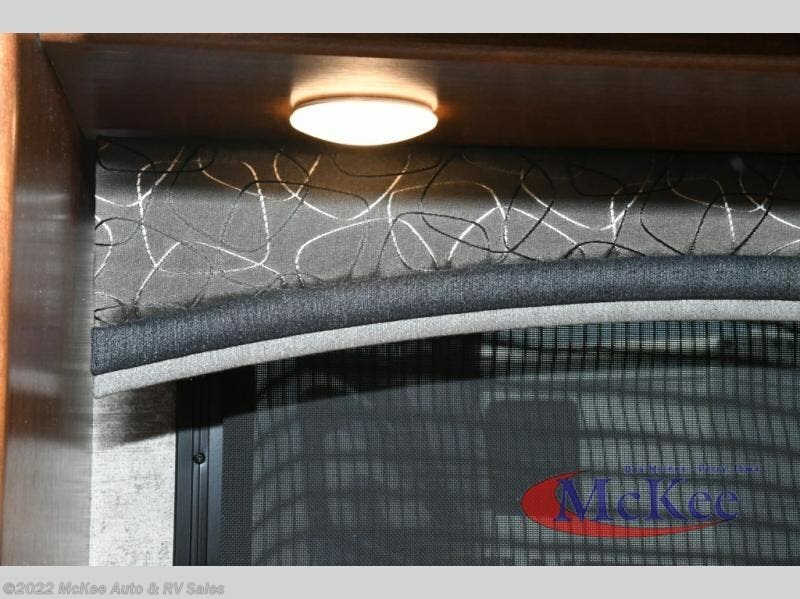 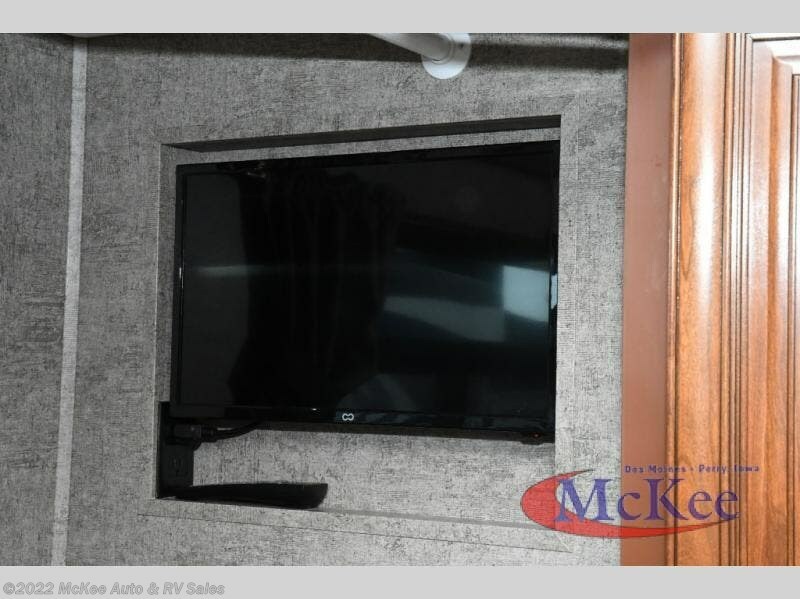 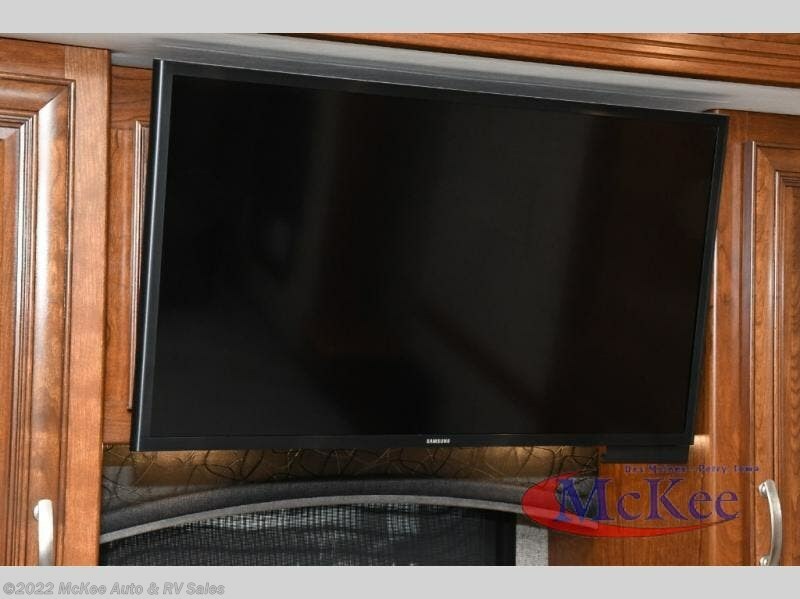 There is a 40" hinge TV for entertainment on your trip as well. 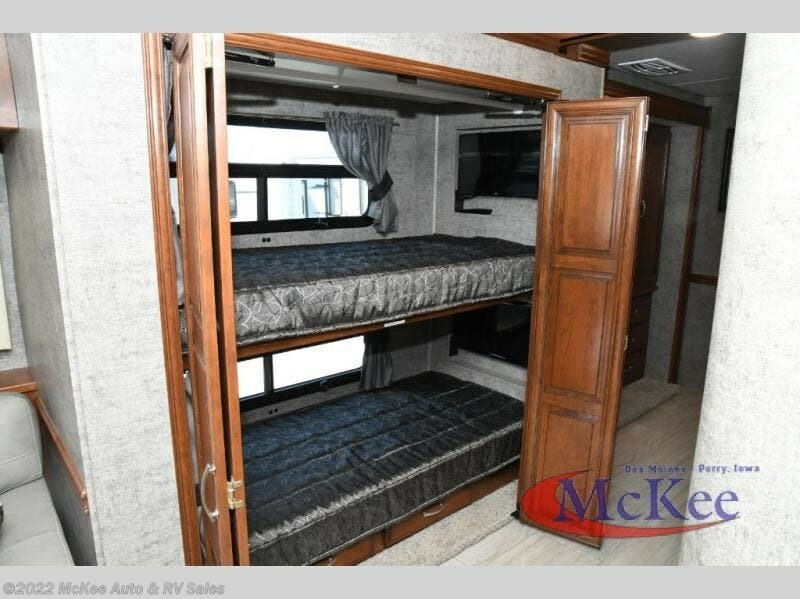 Opposite the kitchen, there is a dinette and a sofa with some overhead cabinetry.There is also a set of bunks along the curbside wall, inside you will find sleeping for two and a personal 20" TV in each bunk. 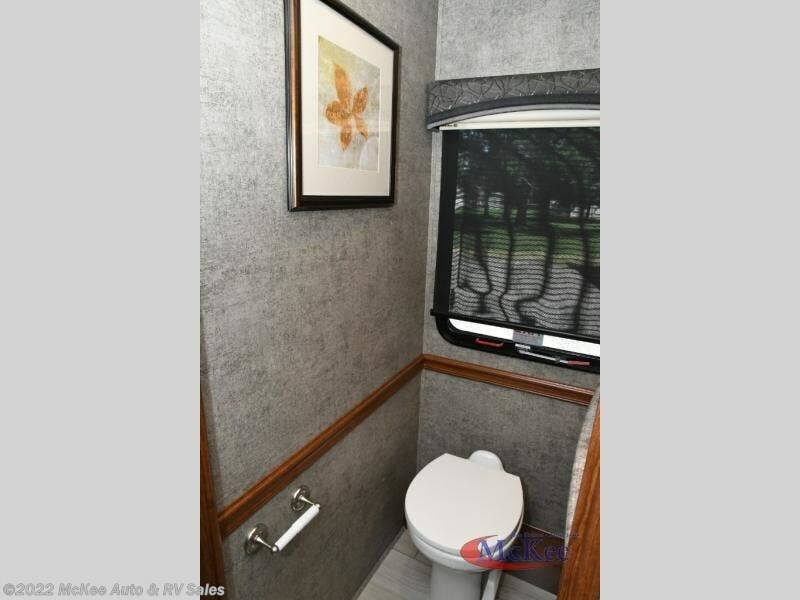 The half bath is located along the roadside and contains a toilet, a sink, and a linen closet. 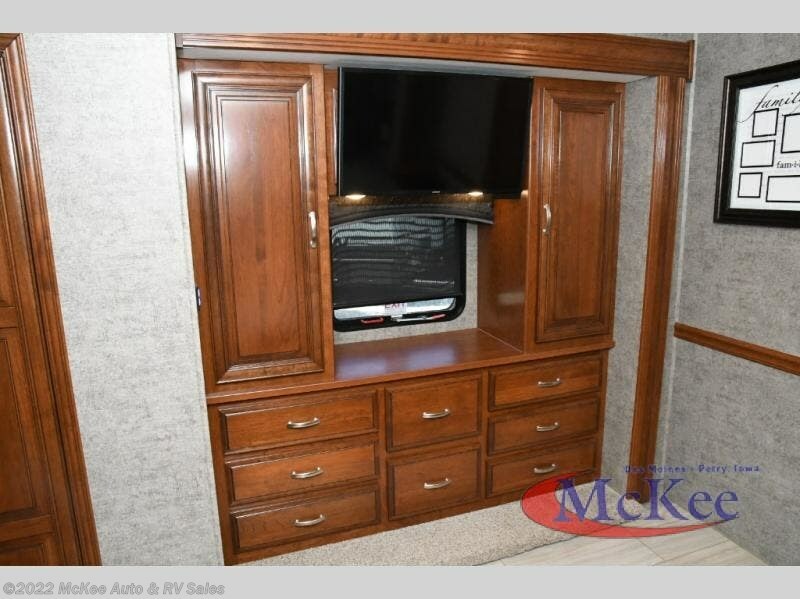 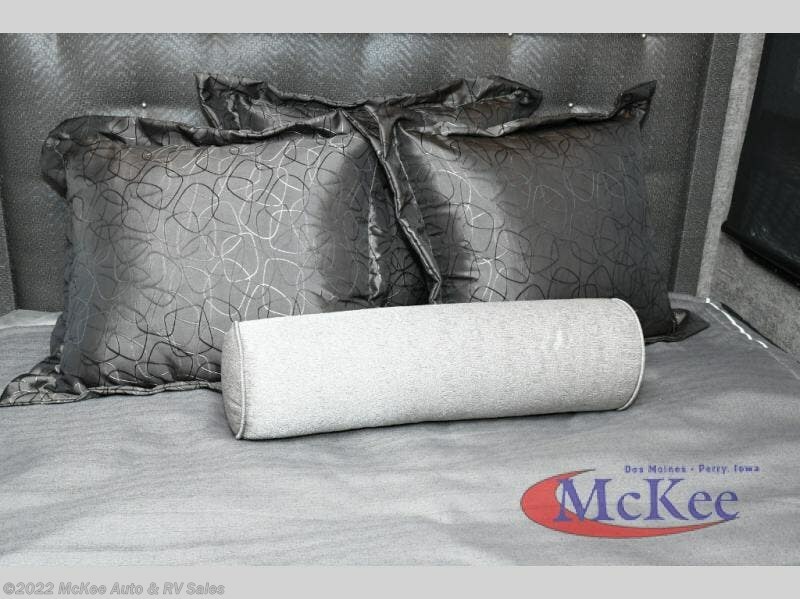 The bedroom has a queen bed with overhead cabinets on one side of the room and a chest of drawers with a shirt wardrobe on either side of it, along with a 32" TV on the opposite side of the room.This is the perfect place to relax after long day of play! 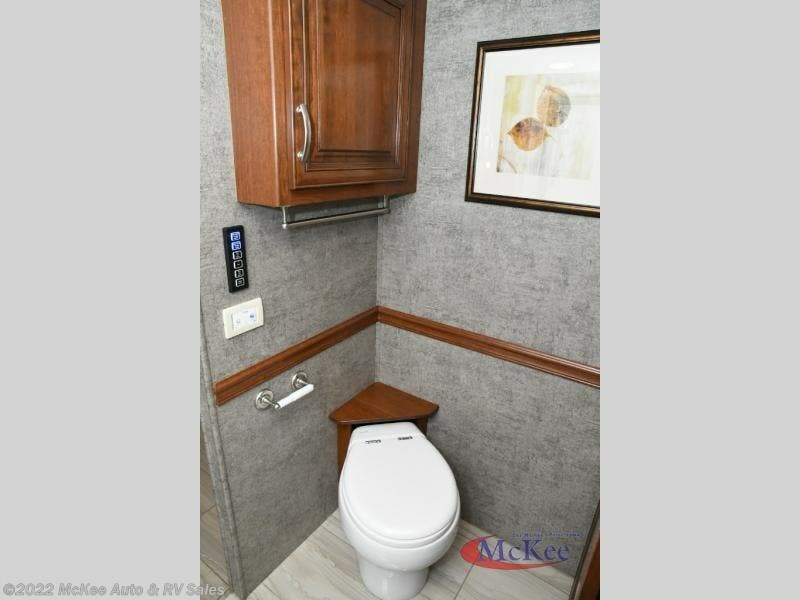 The rear bathroom includes a shower and a linen closet along the roadside wall, a sink in the middle, and a toilet along the curbside wall. 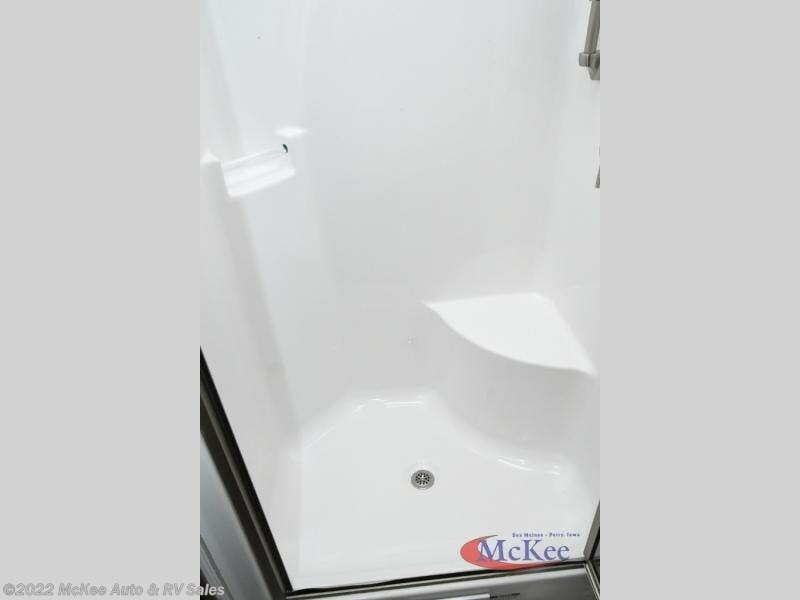 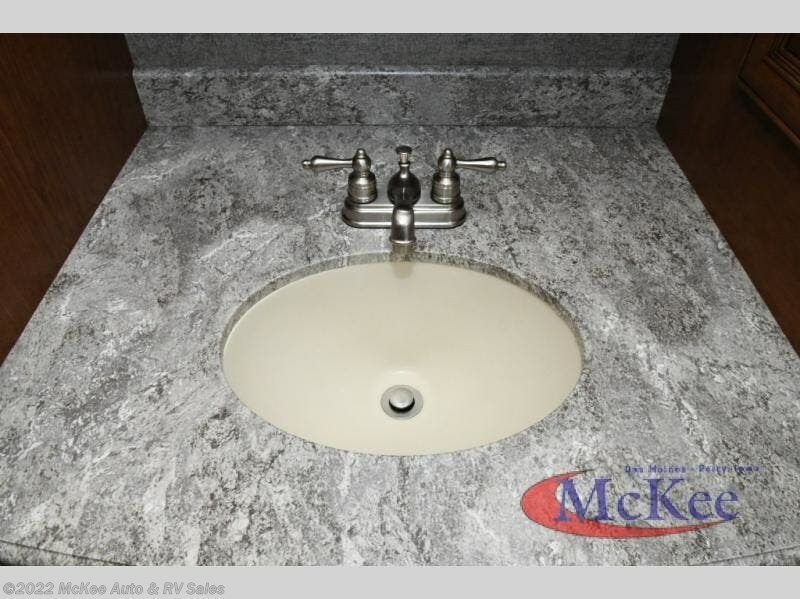 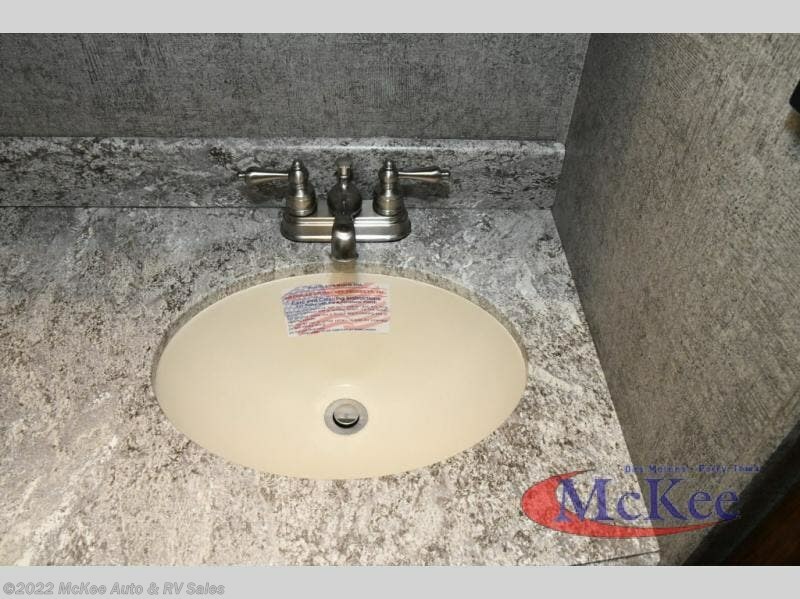 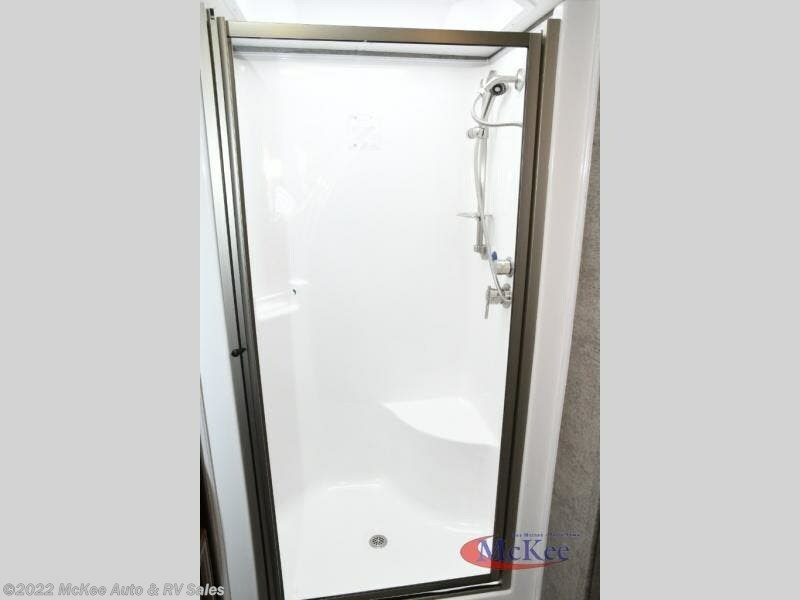 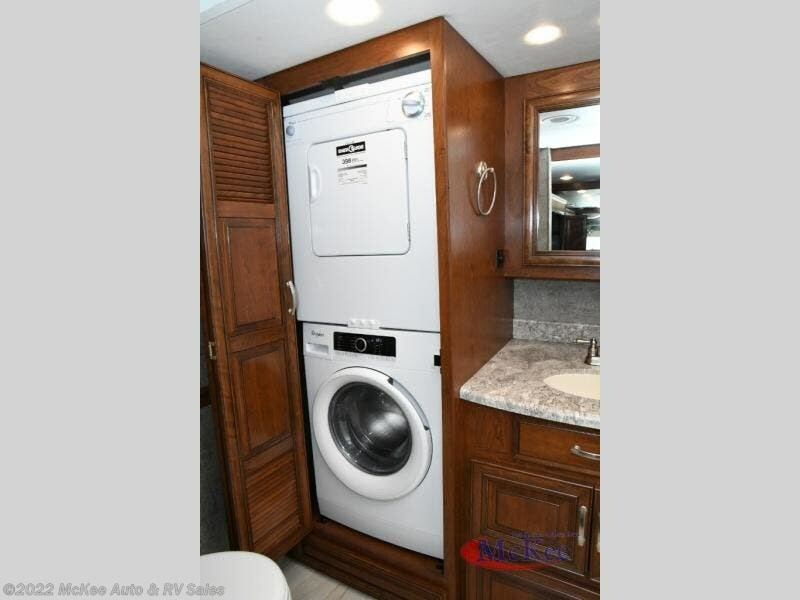 You may choose to include a washer/dryer in the bathroom as well, plus so much more! 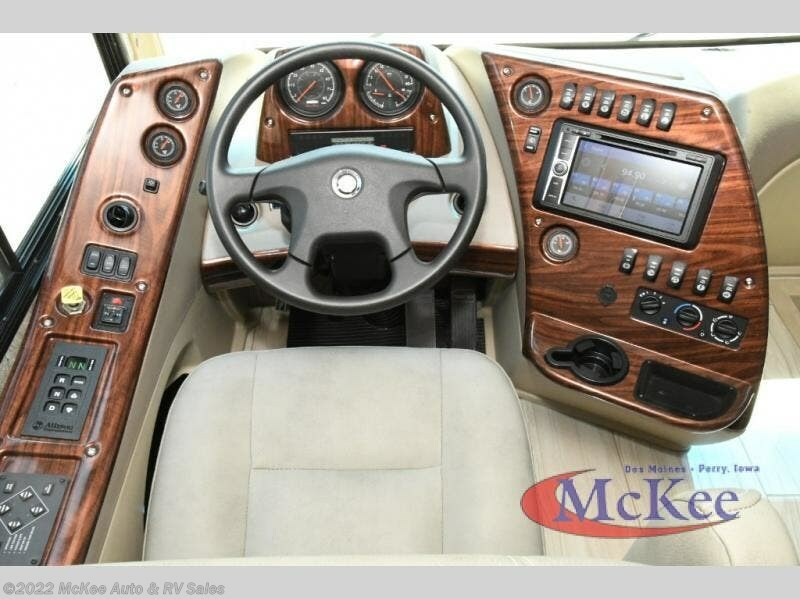 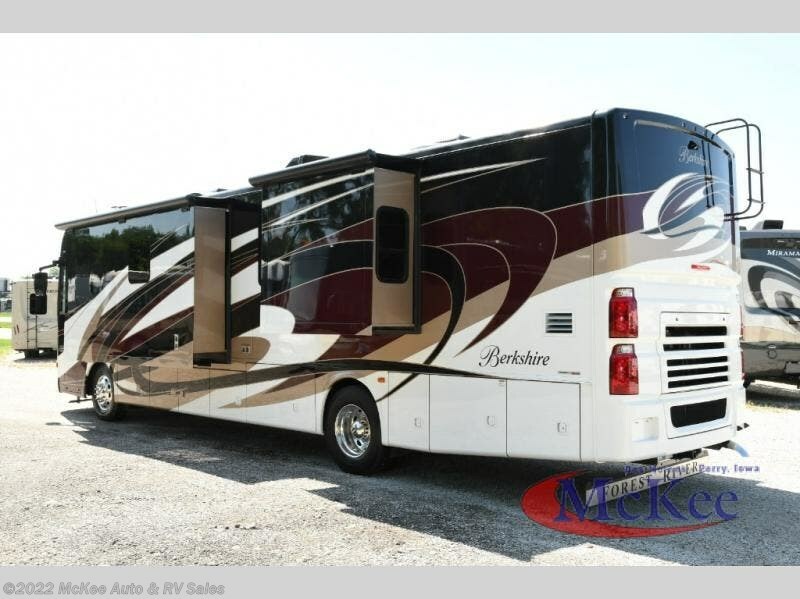 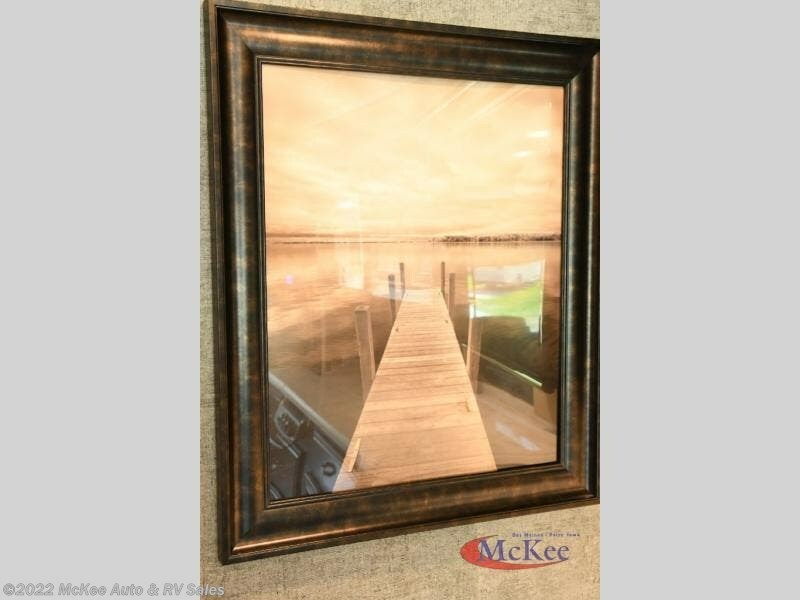 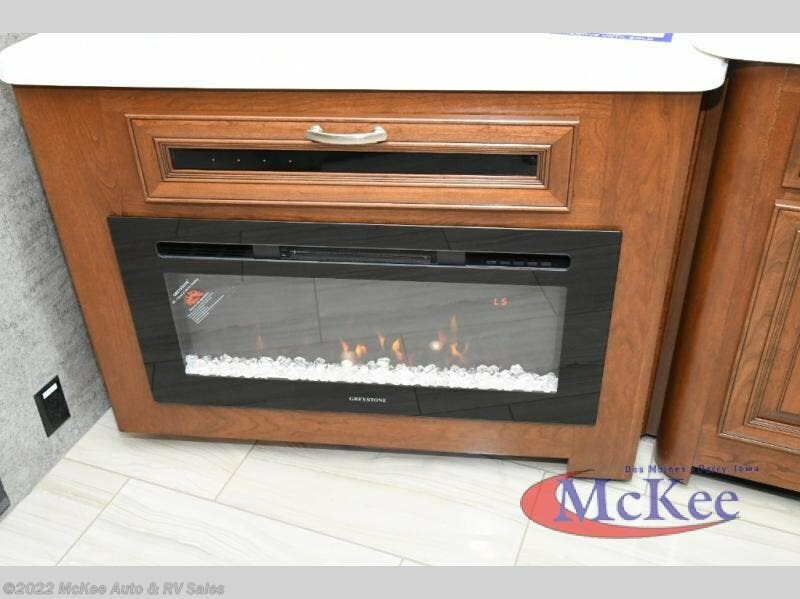 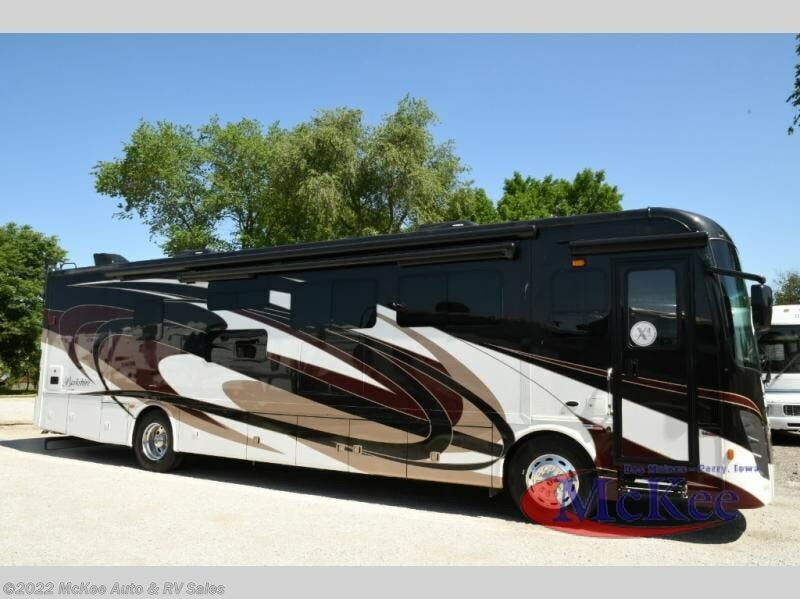 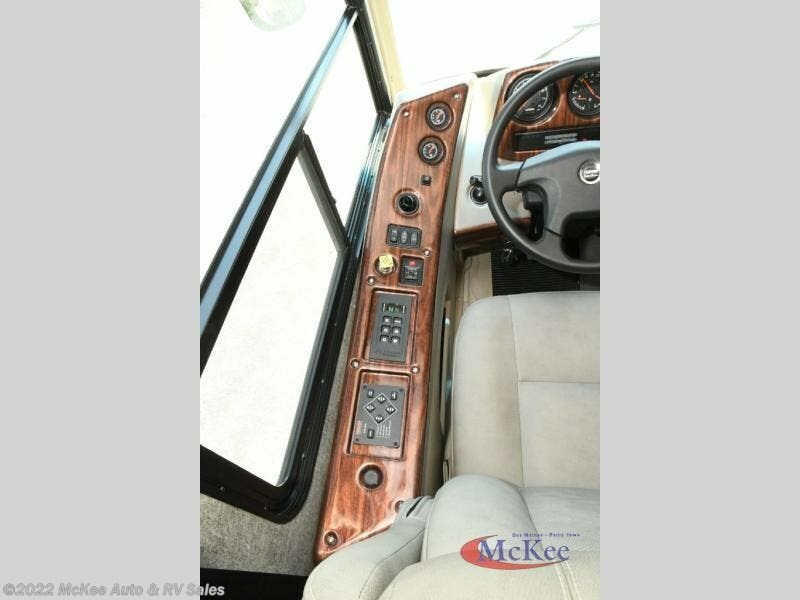 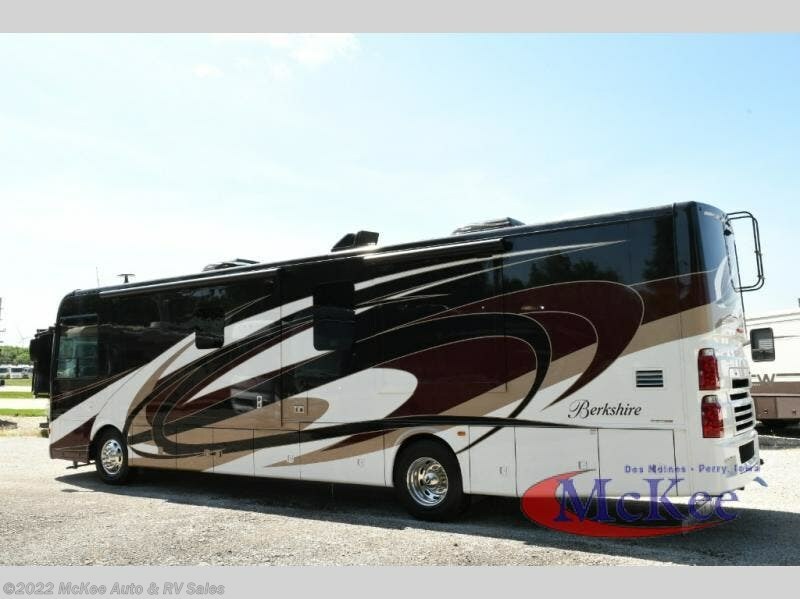 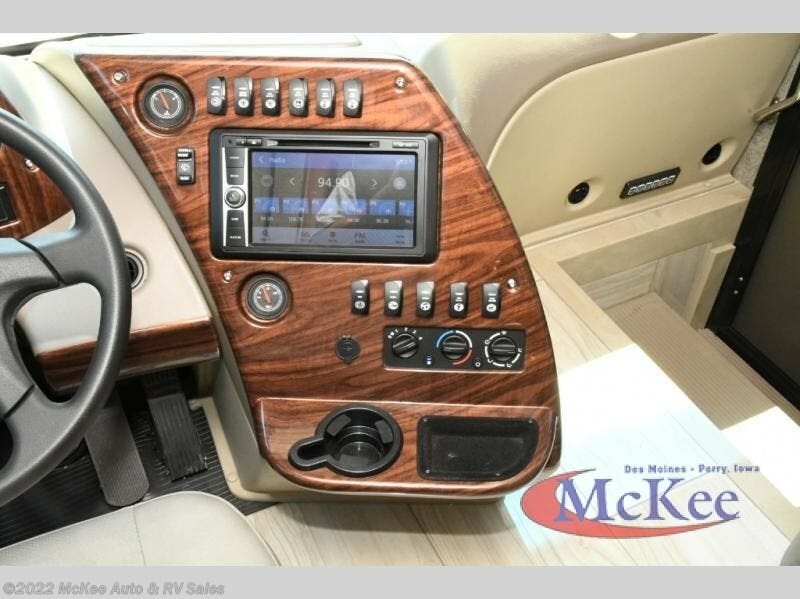 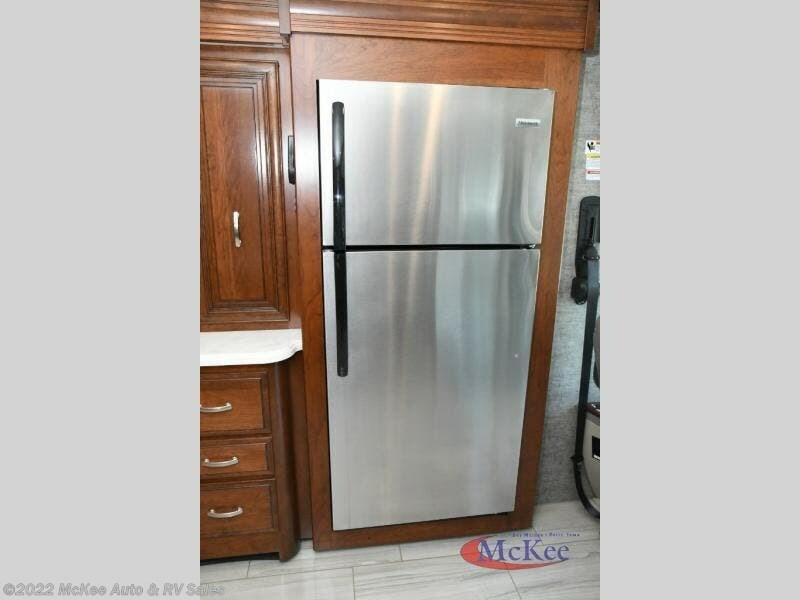 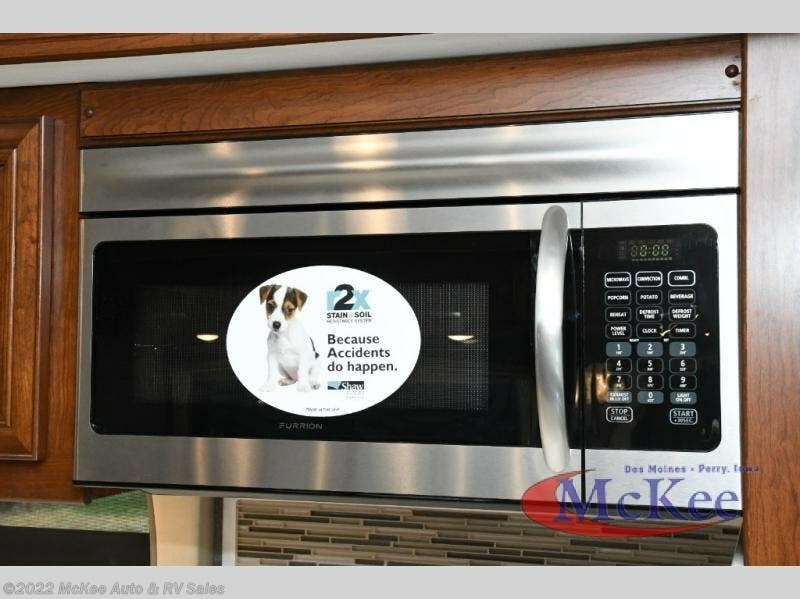 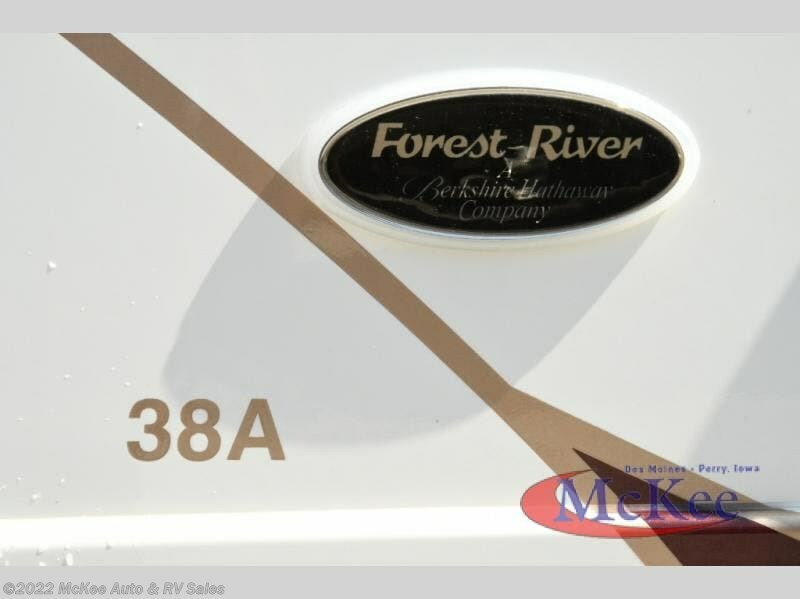 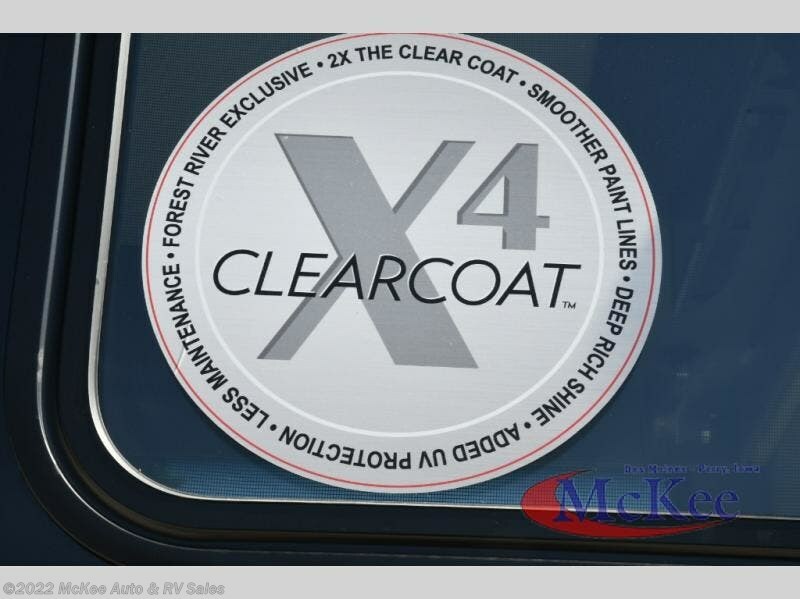 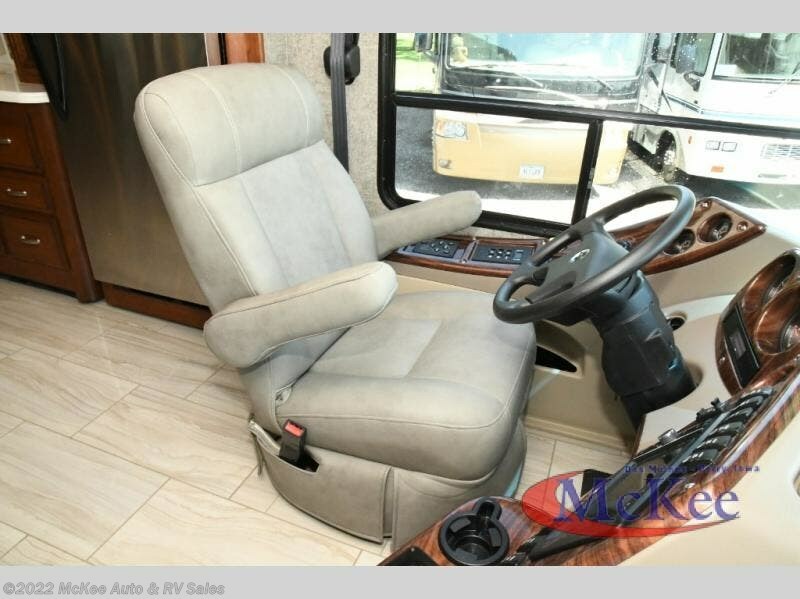 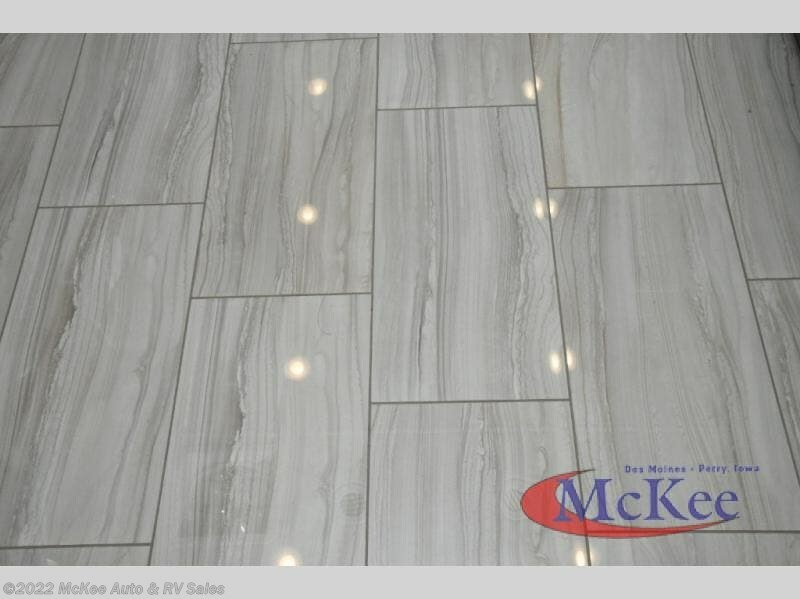 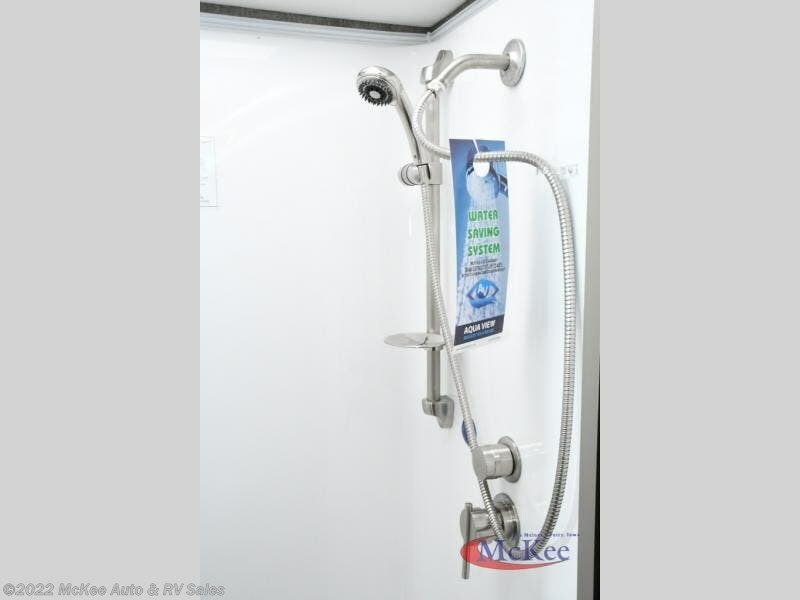 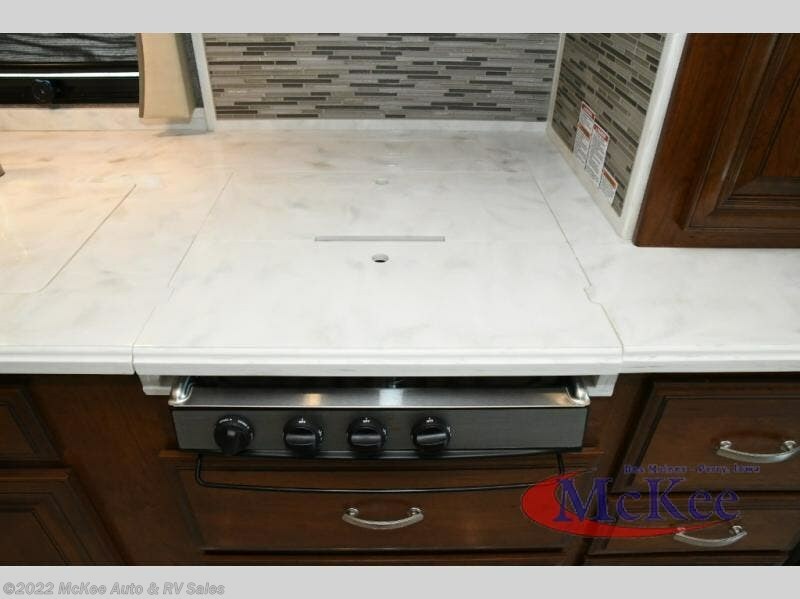 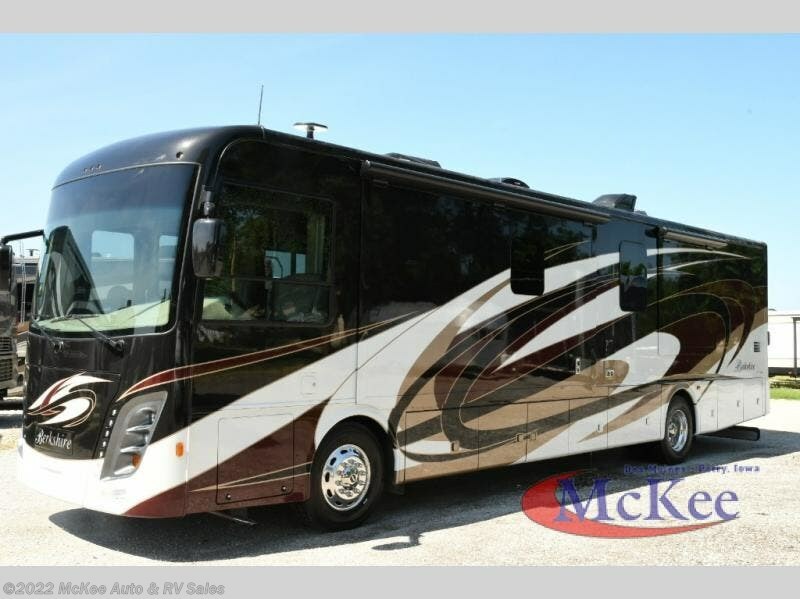 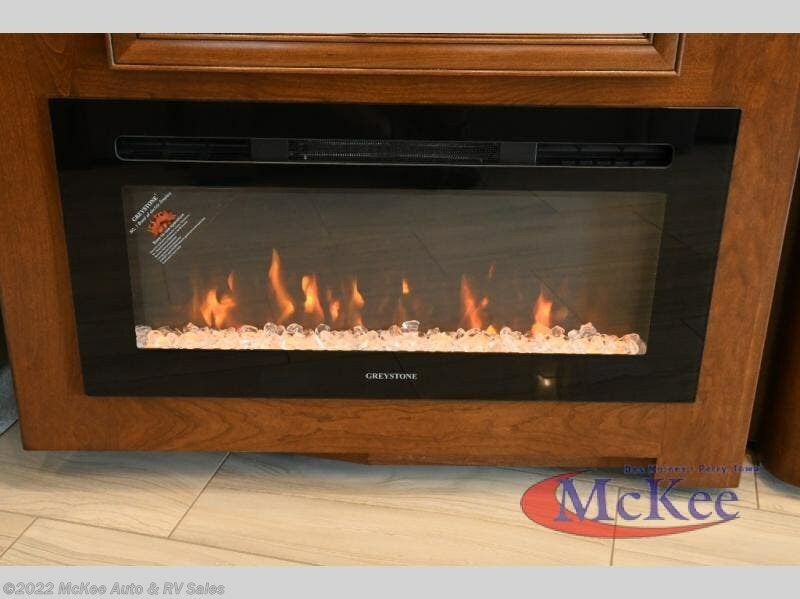 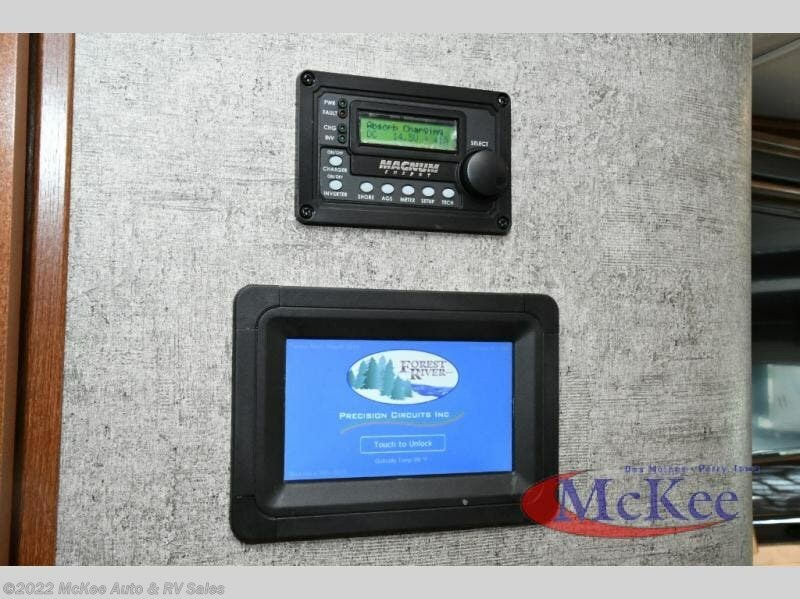 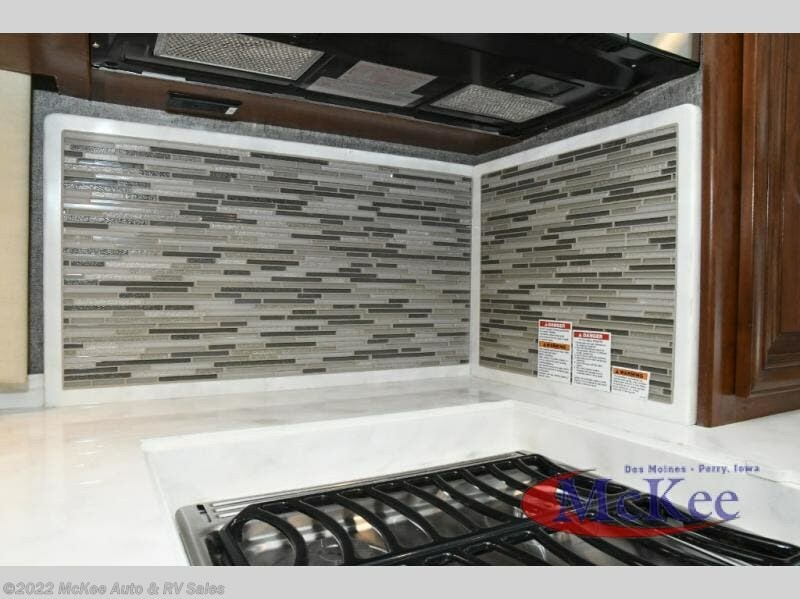 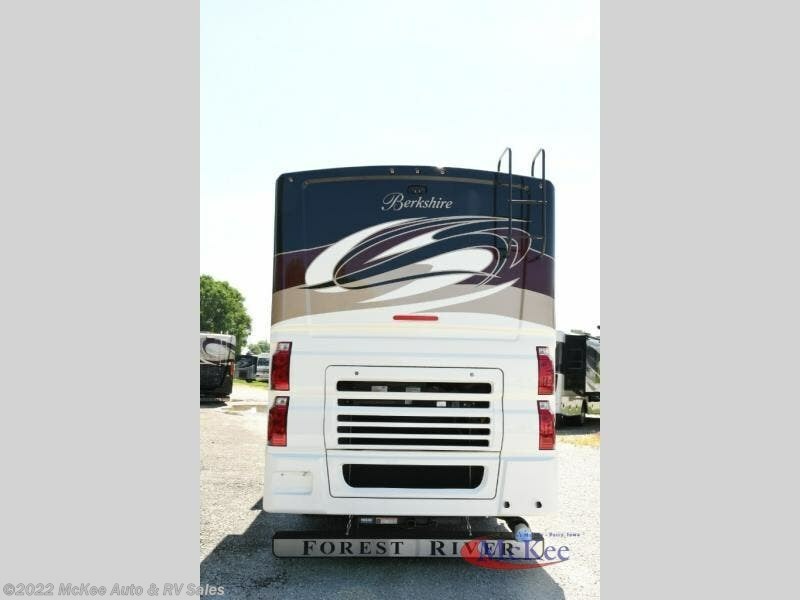 Check out Stock # 1100 - 2019 Forest River Berkshire 38A 360HP on forestriverrvsource.com!